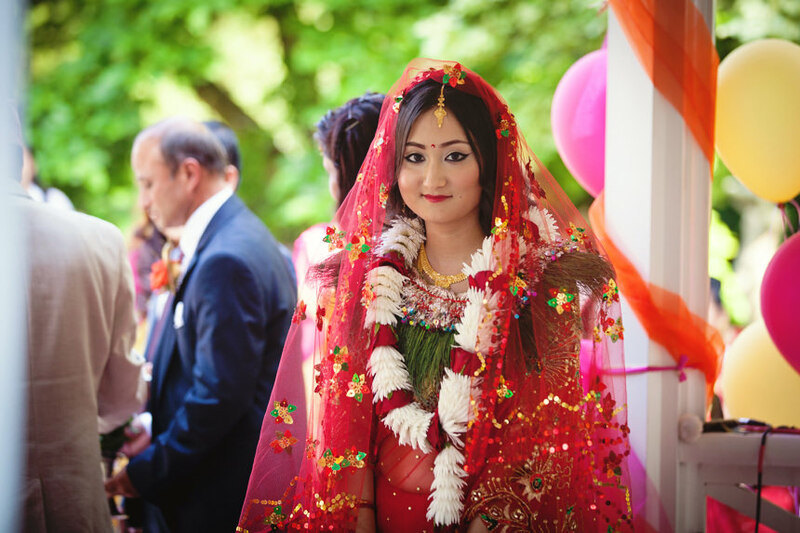 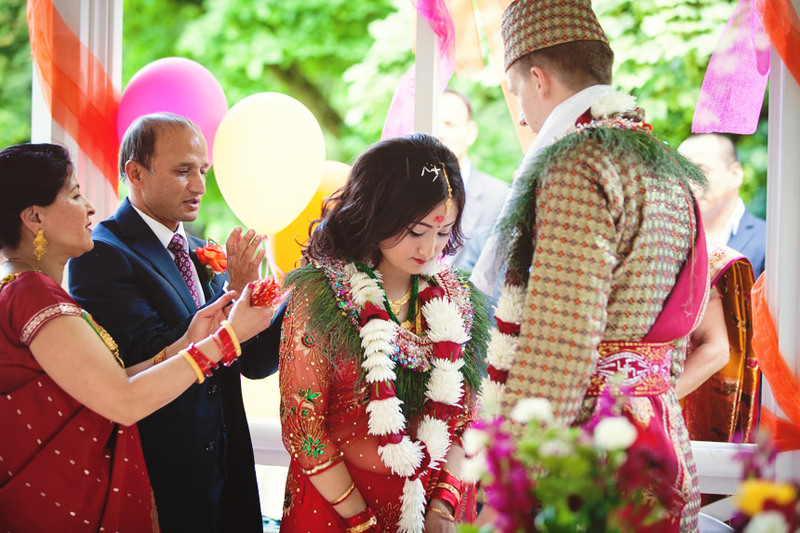 The Orangery Maidstone wedding of Mats and Anupa was a beautiful and colourful event and a pleasure to photograph. 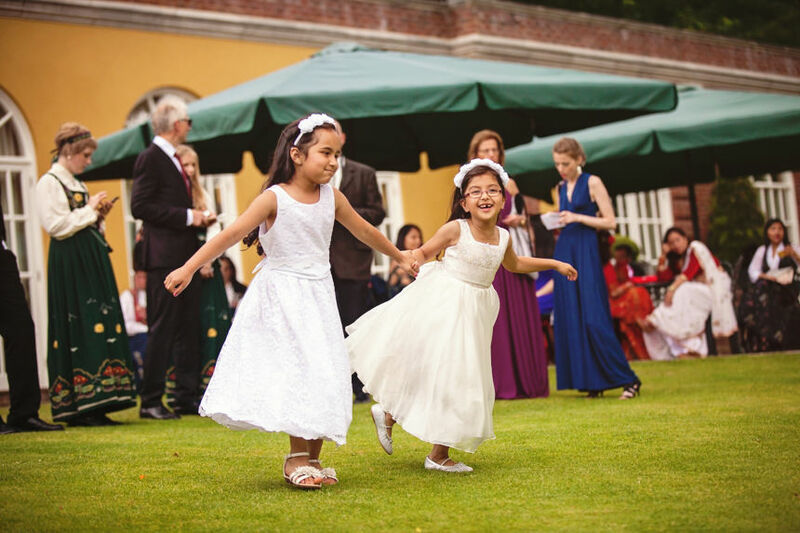 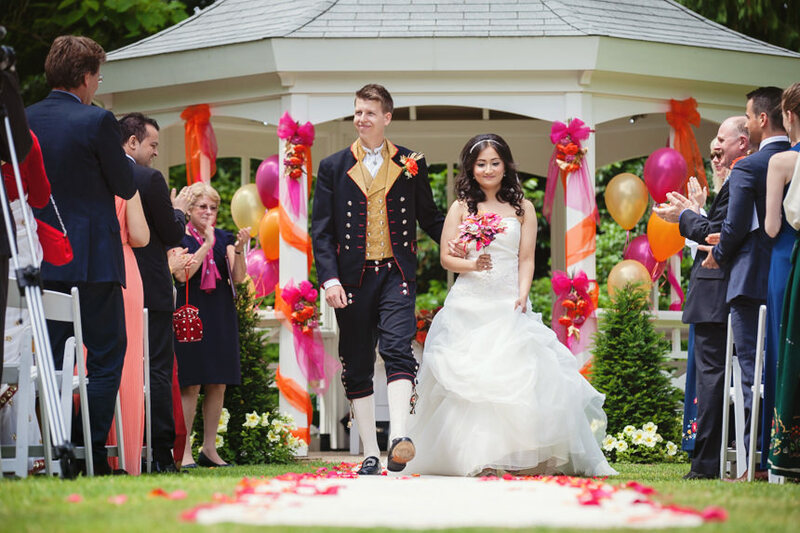 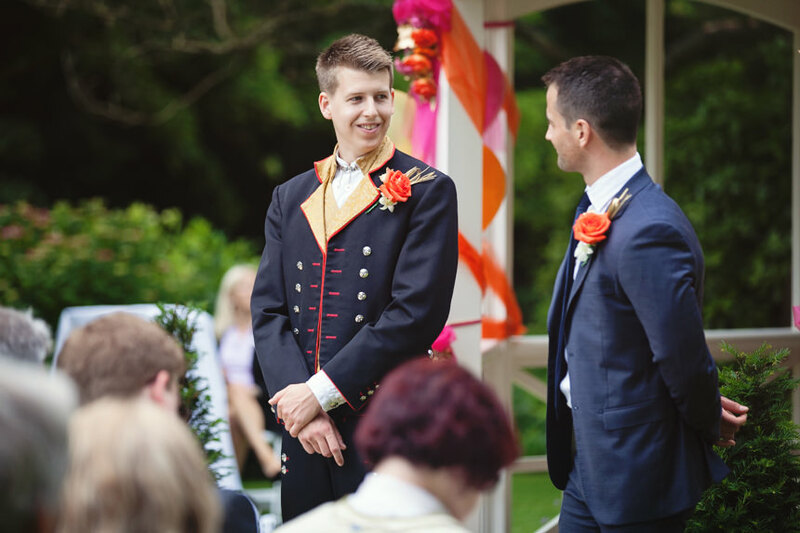 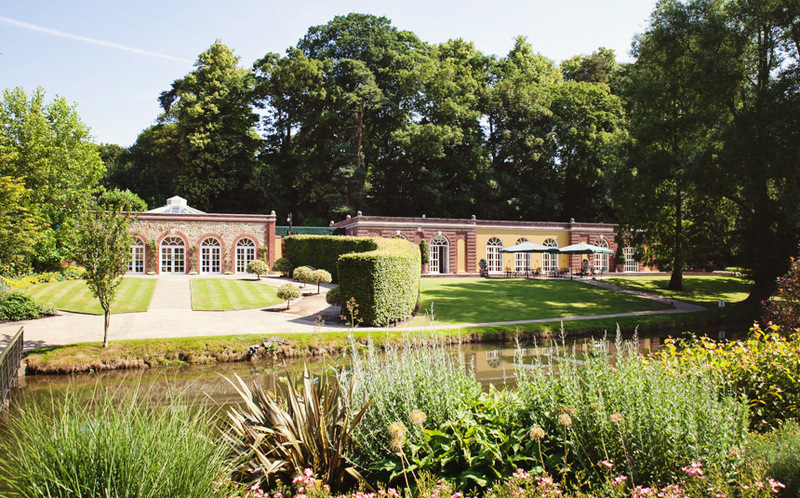 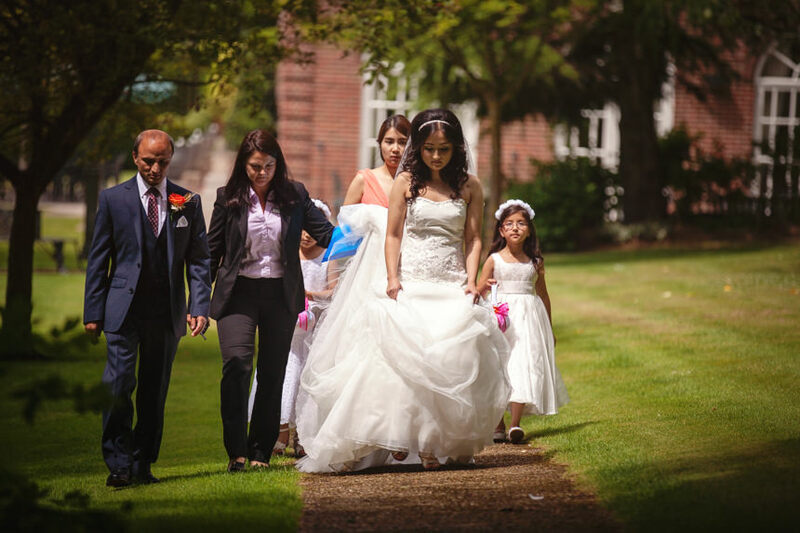 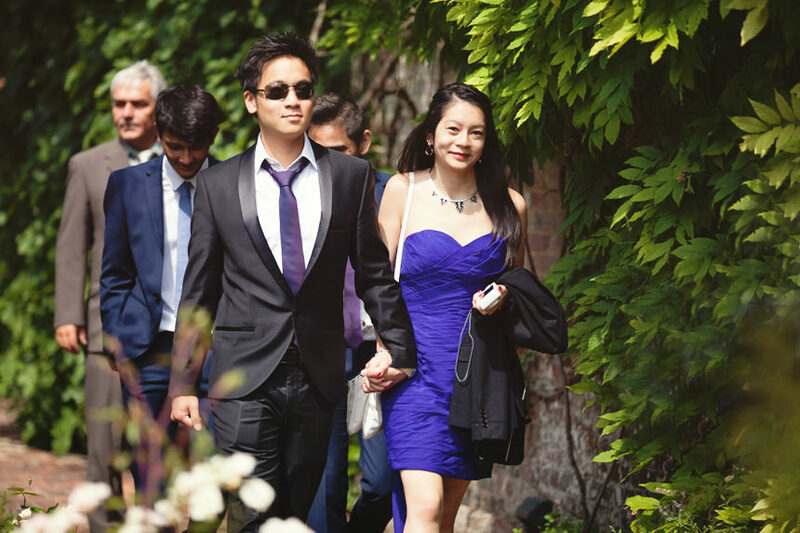 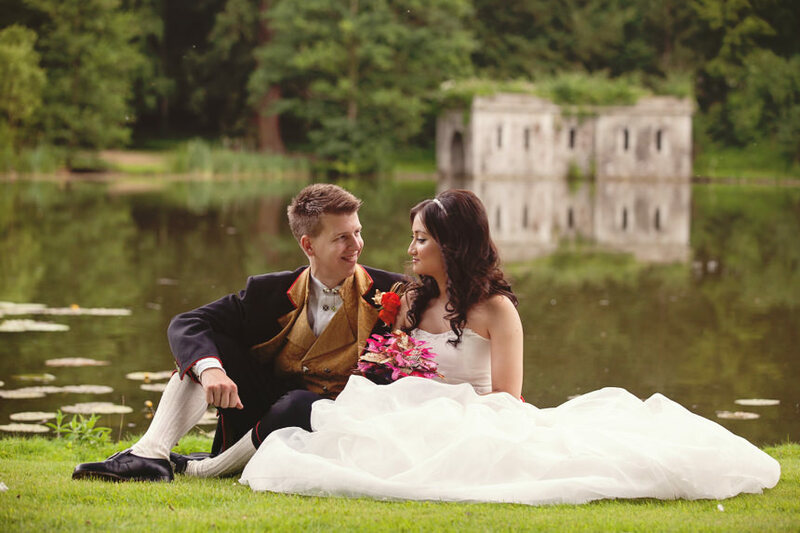 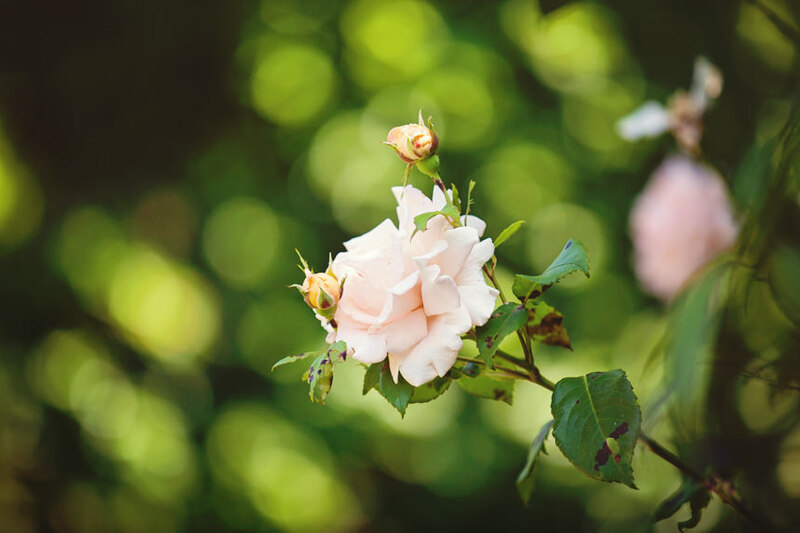 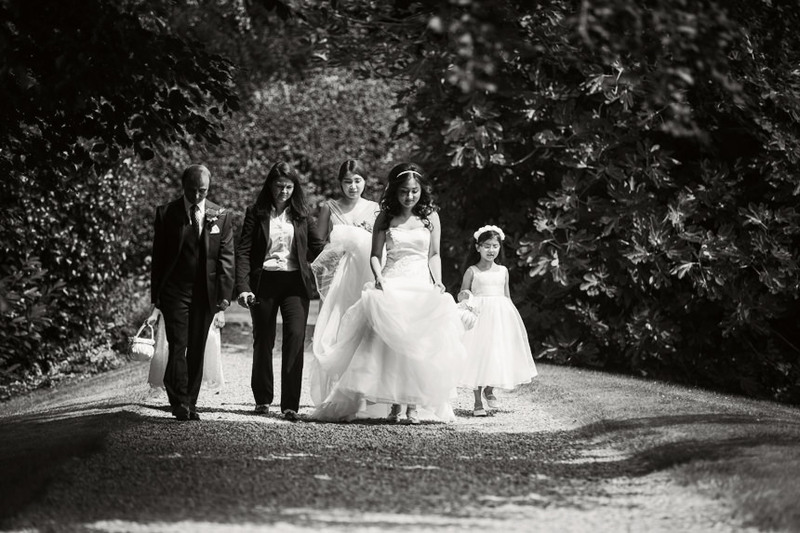 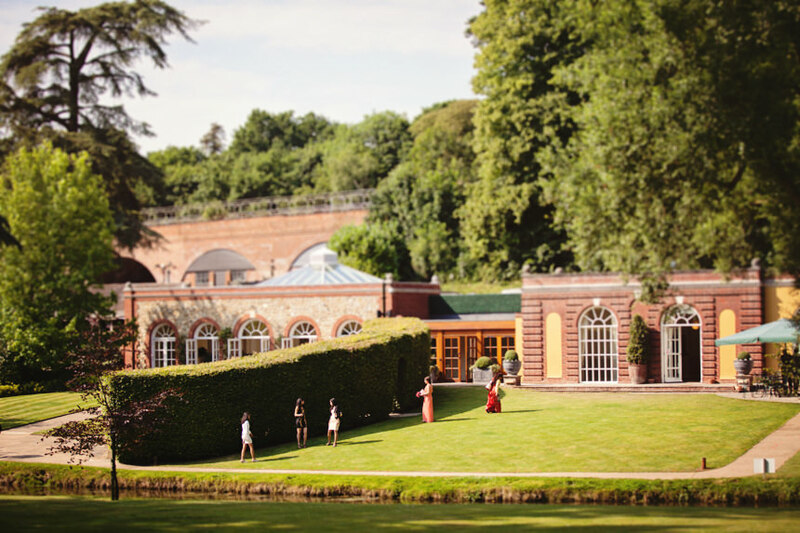 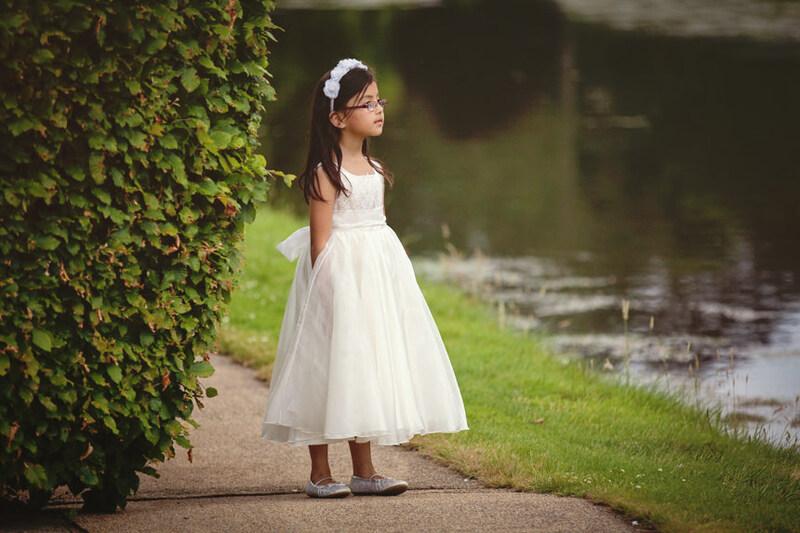 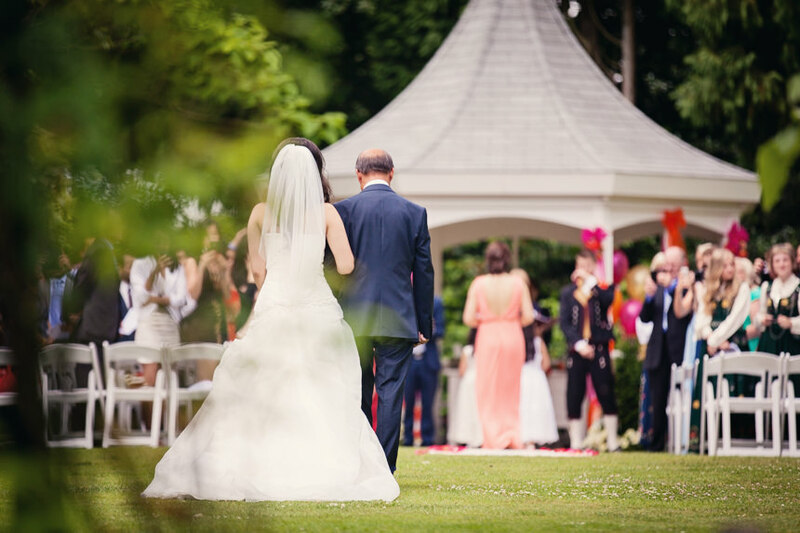 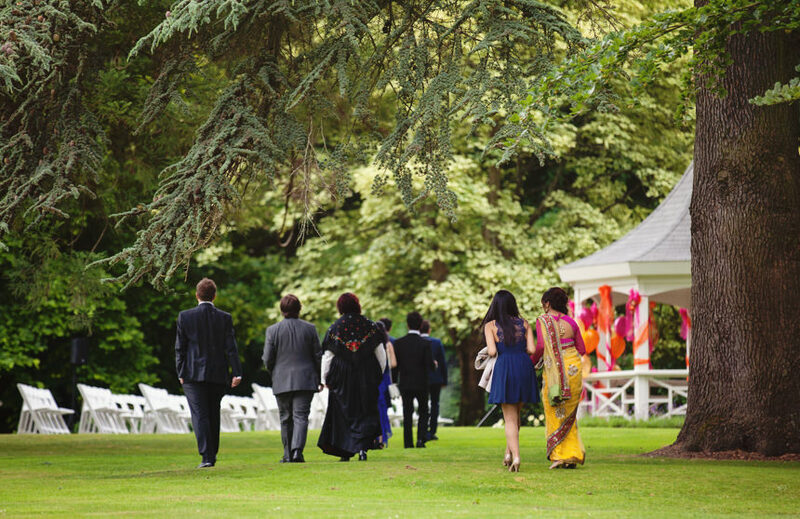 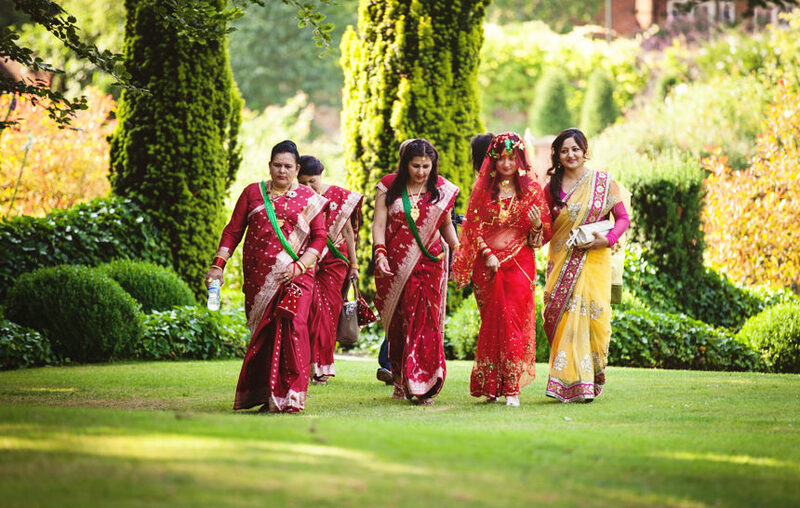 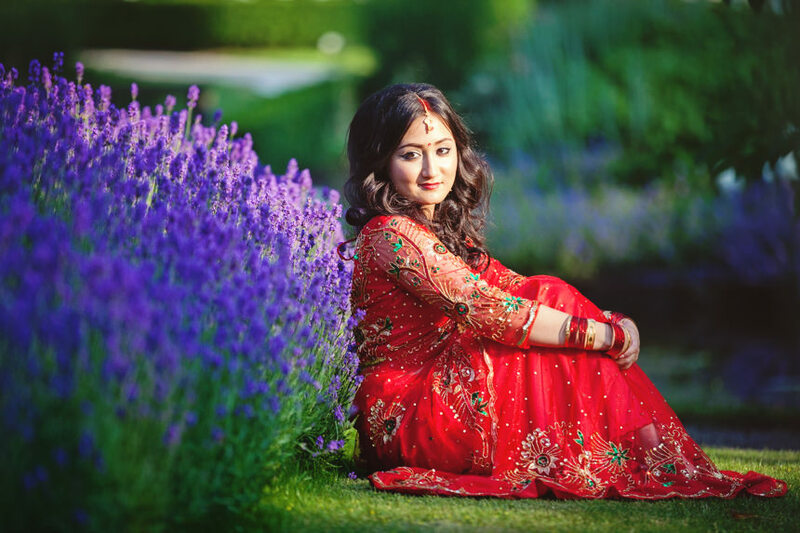 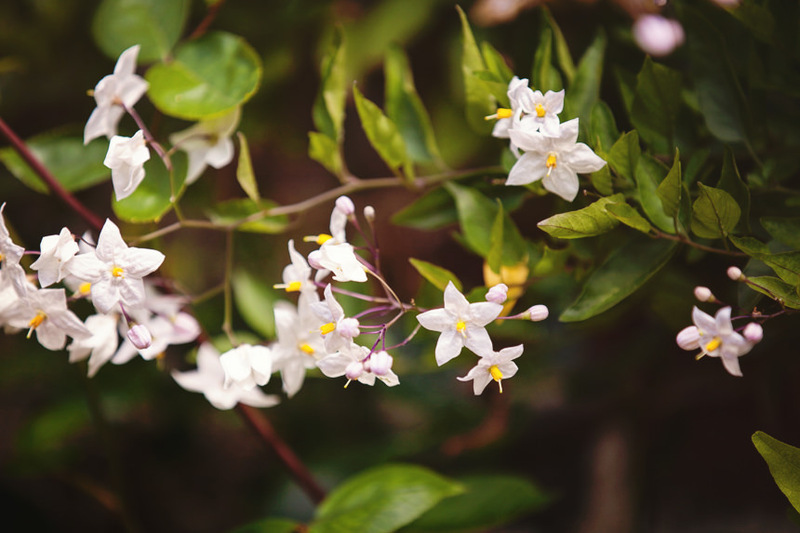 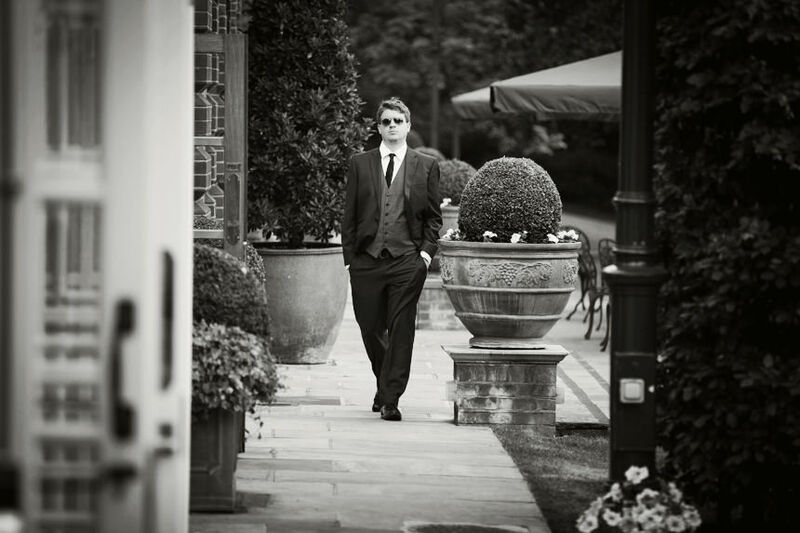 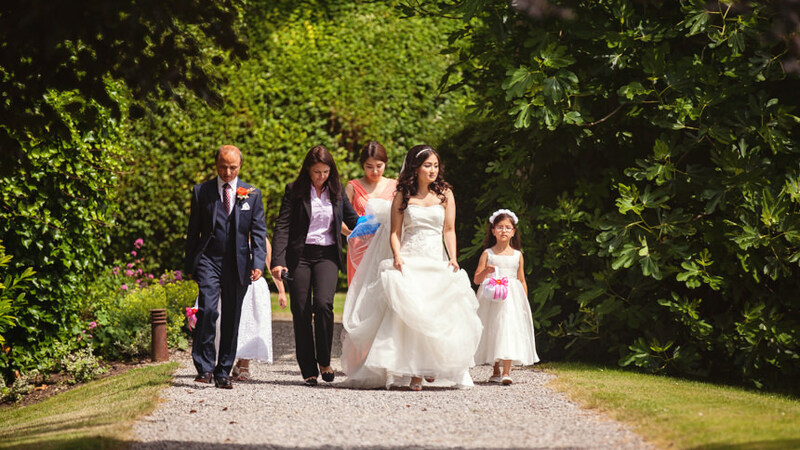 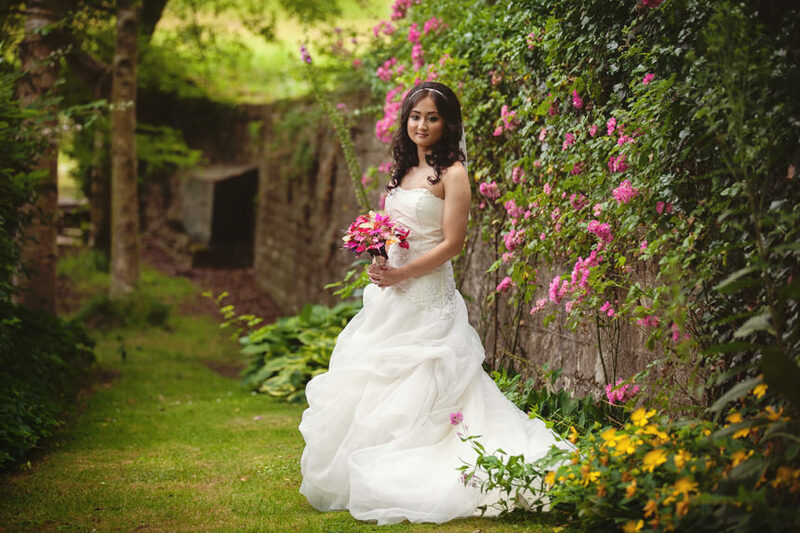 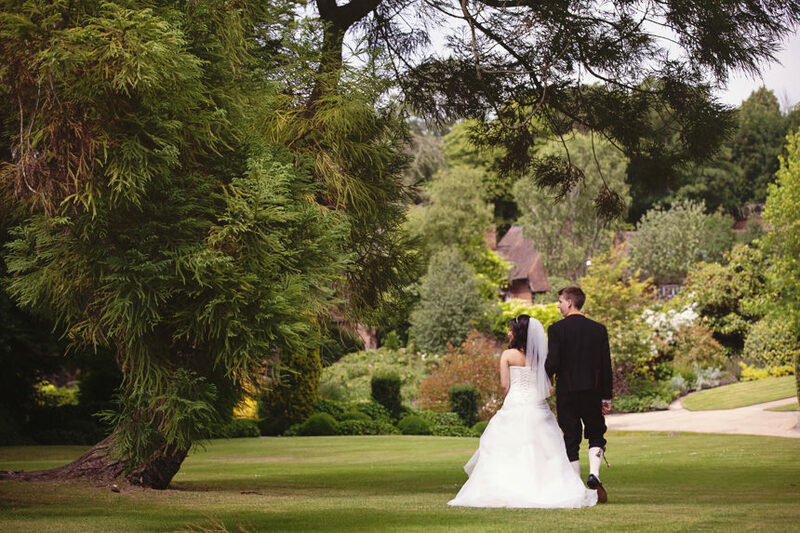 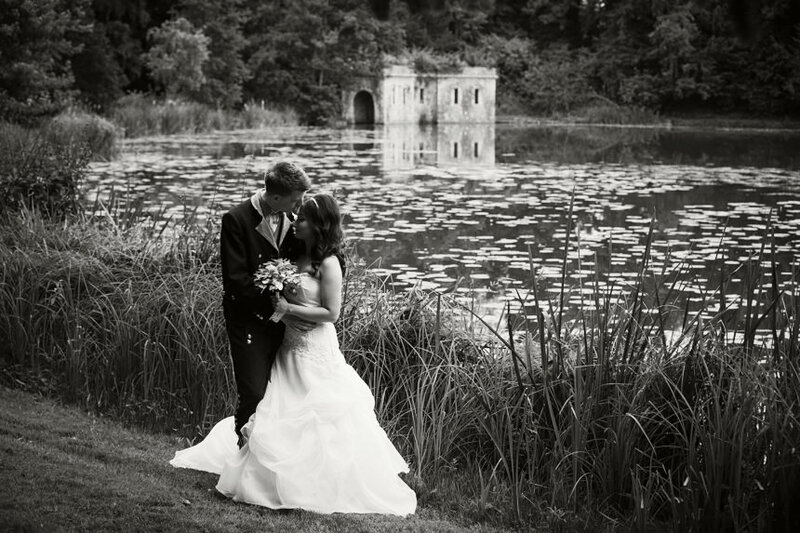 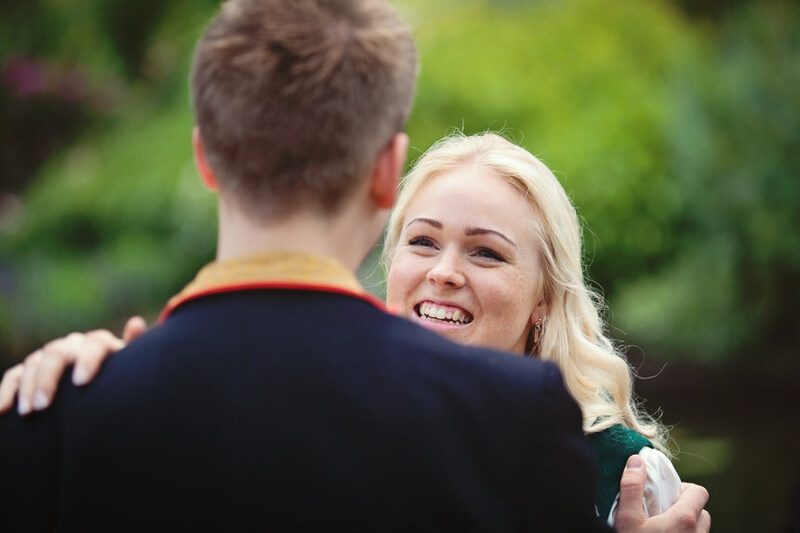 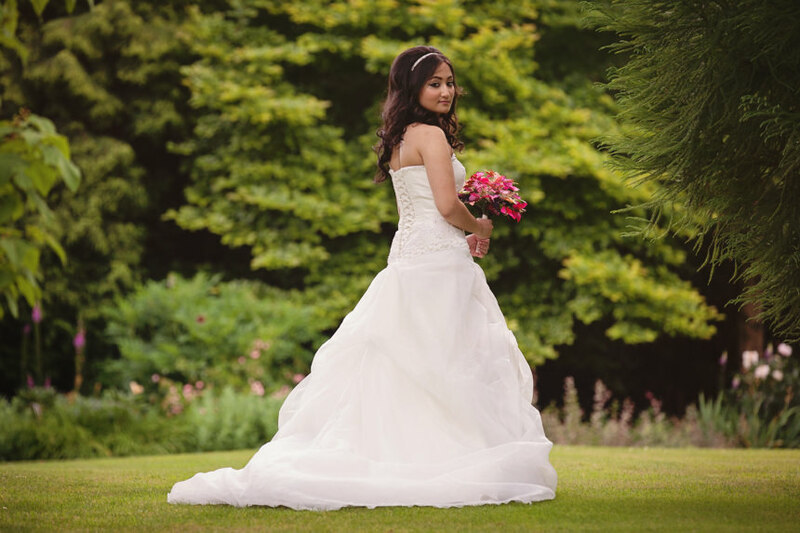 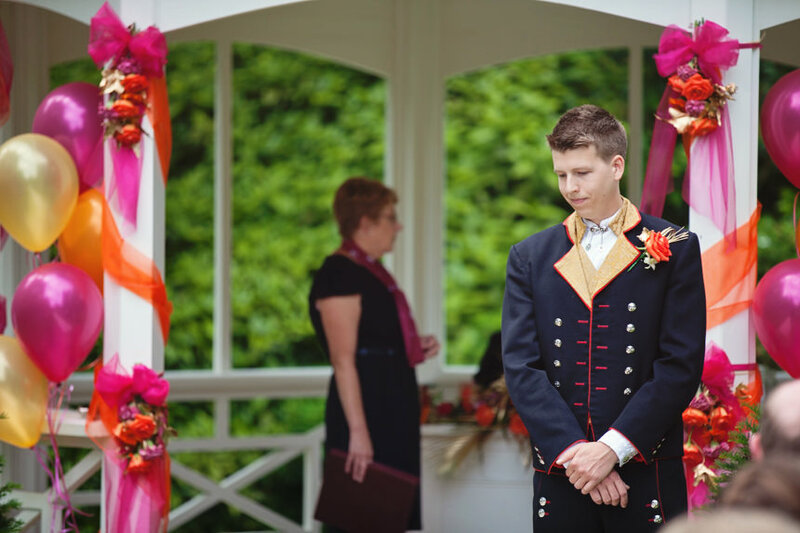 The venue is simply stunning, with extensive landscaped gardens, complete with working water mill, flowing river and waterfall with two ornate bridges and some extremely grand old trees. 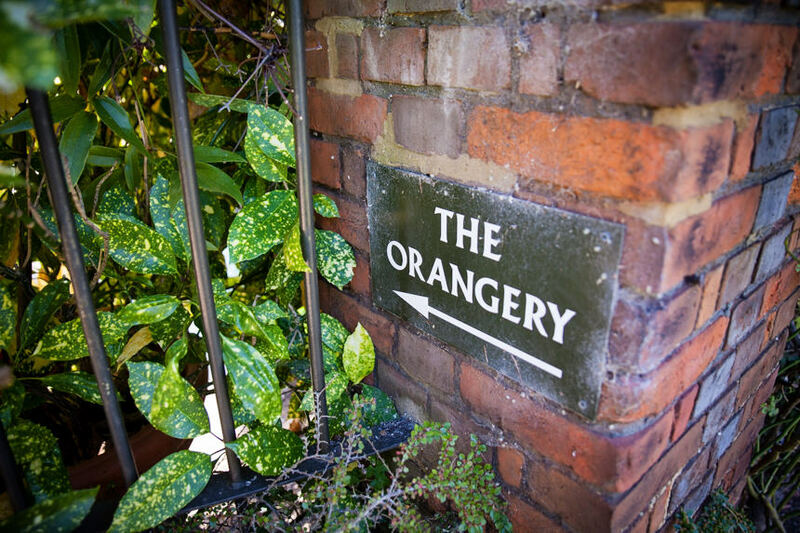 Inside the Orangery is a large open function room where they serve the wedding breakfast linking through to a room dedicated to the evening reception and dancing. 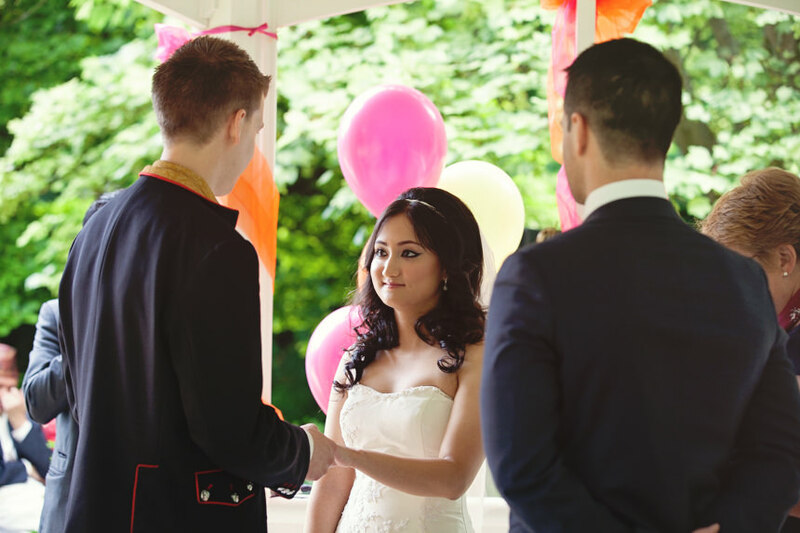 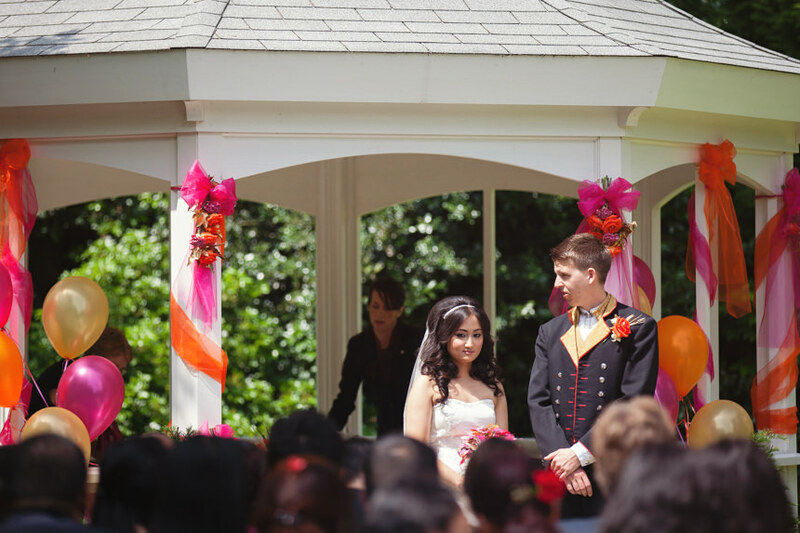 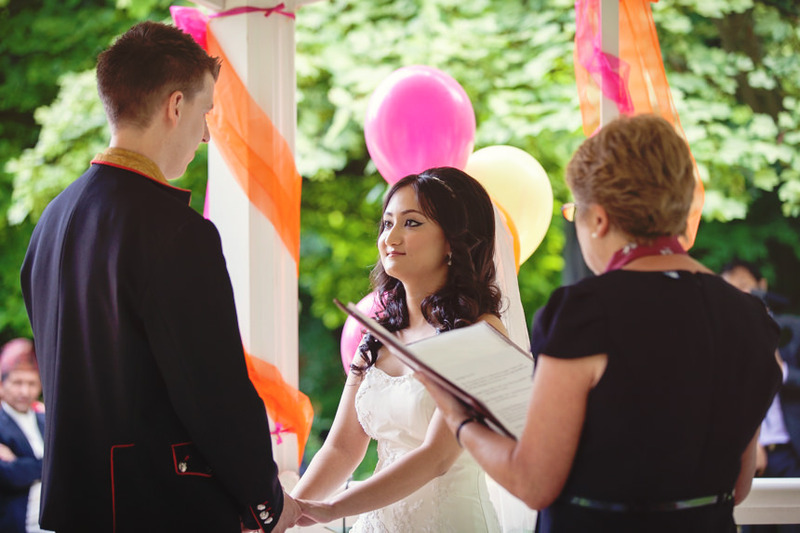 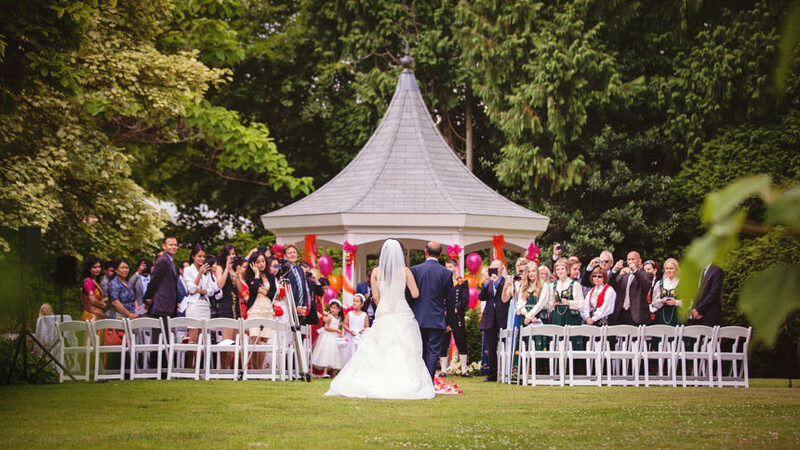 The venue is also licensed to perform weddings outside under their permanent gazebo, which is where Mats and Anupa had not one but two wedding ceremonies! 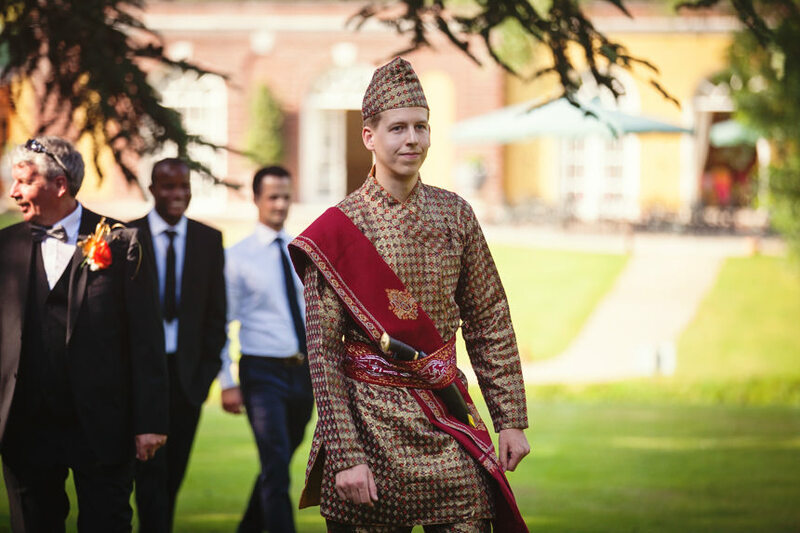 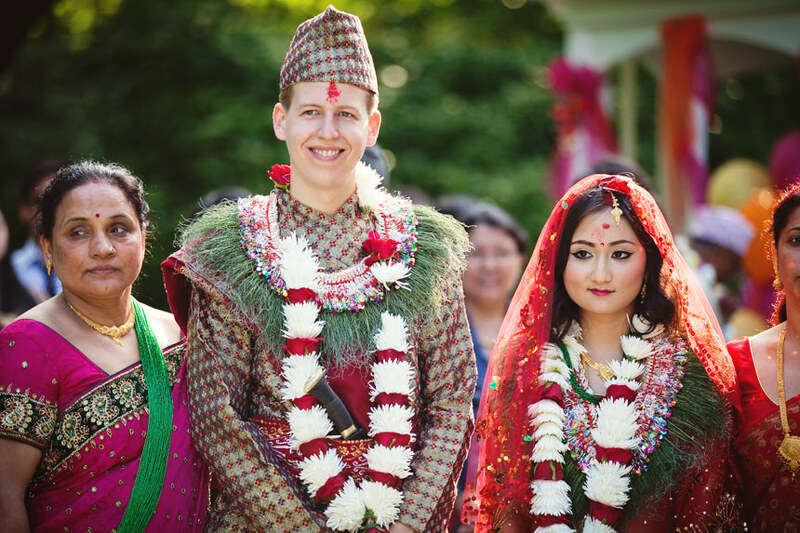 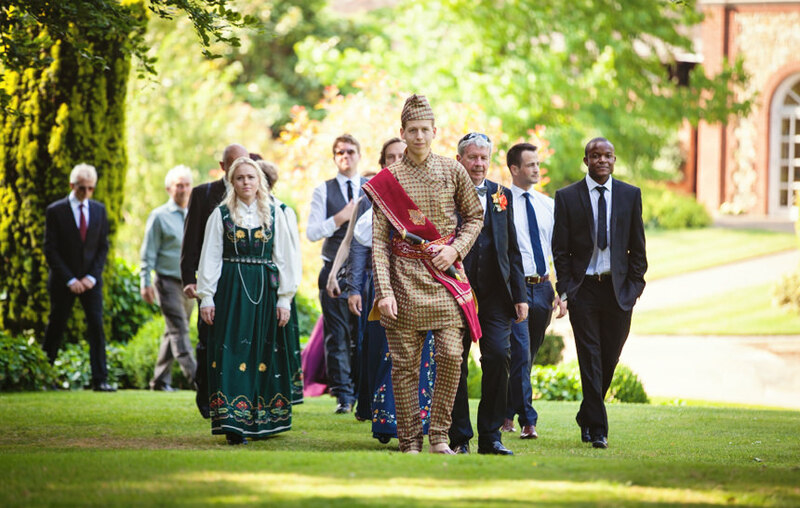 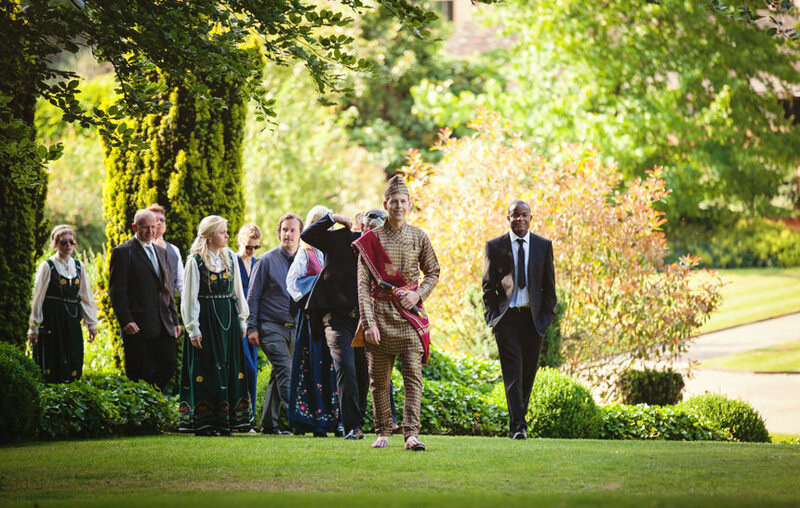 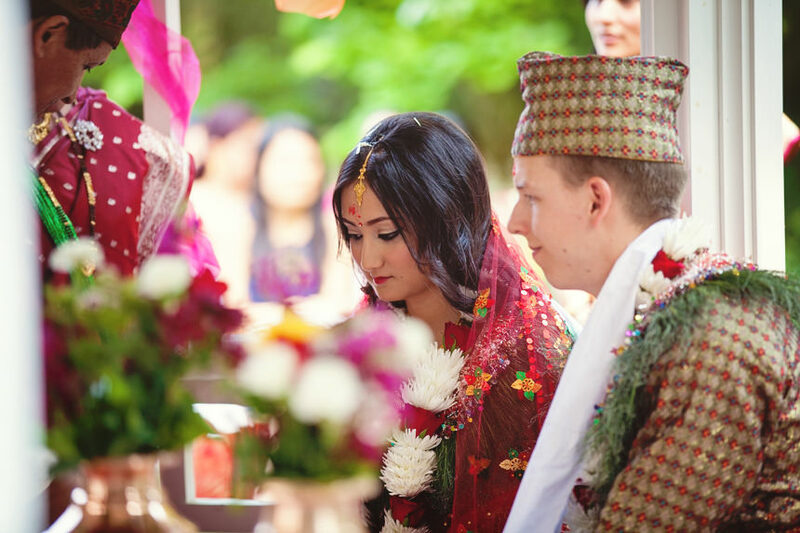 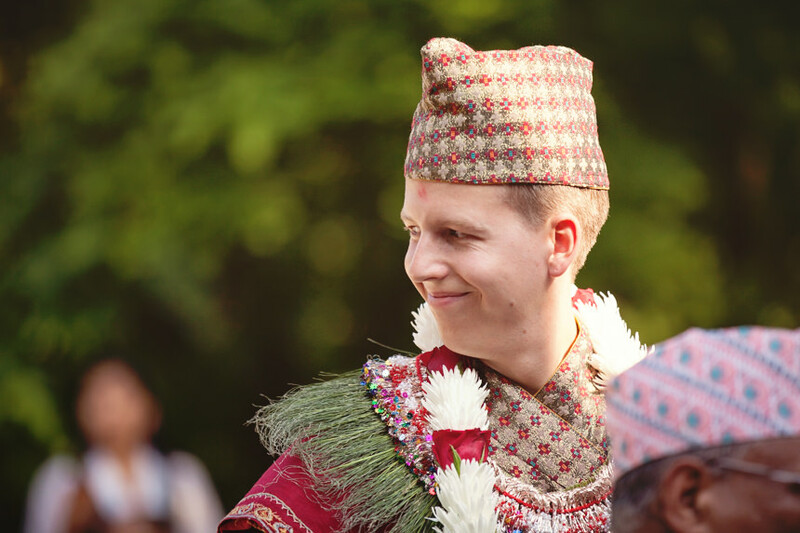 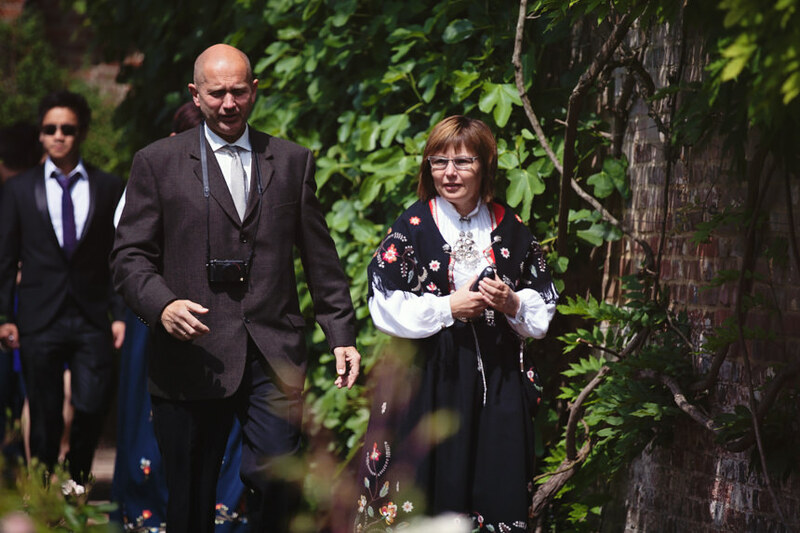 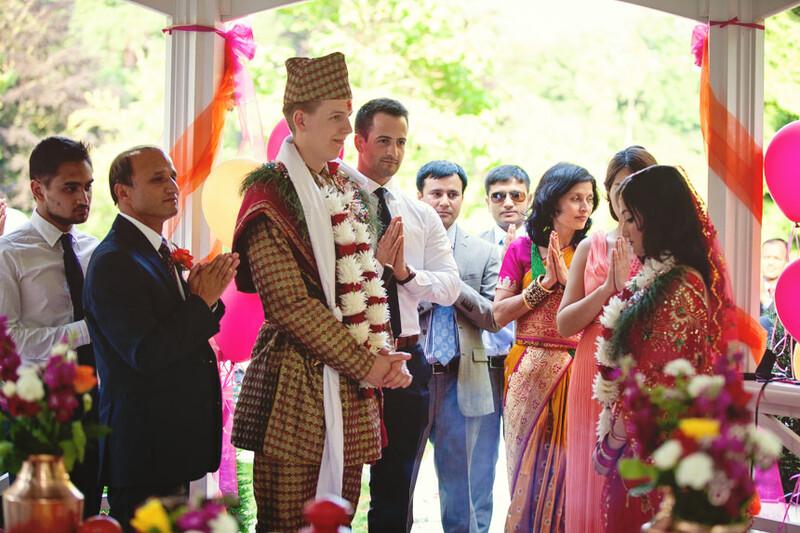 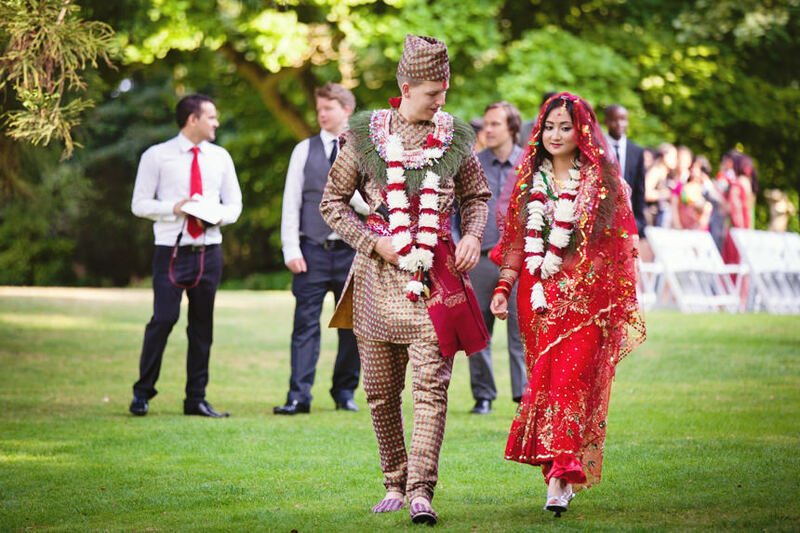 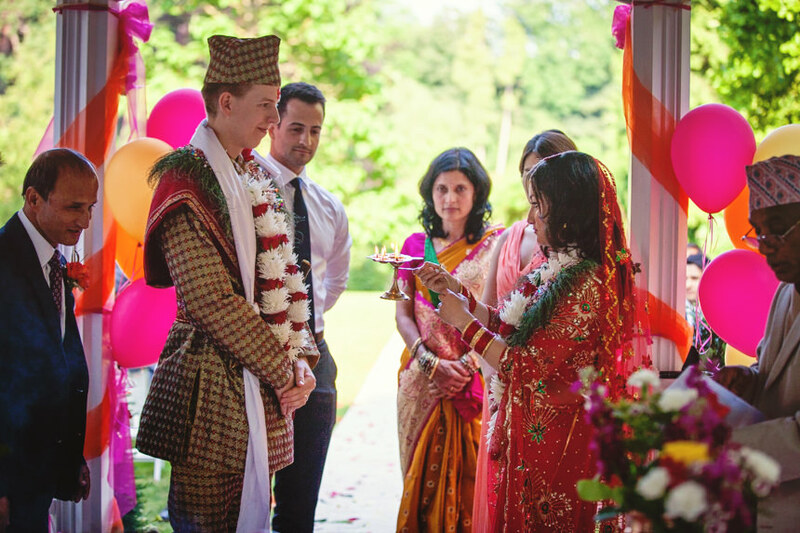 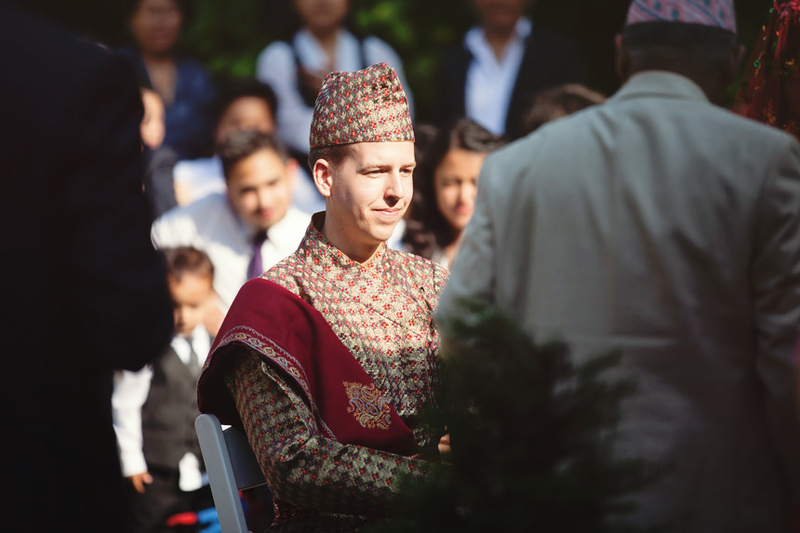 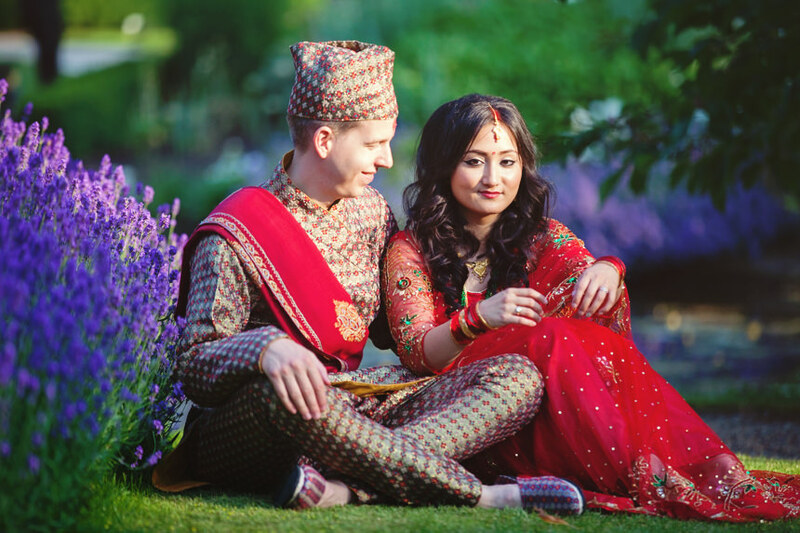 Mats hails from Norway and Anupa is Nepalese and so in the morning Mats and Anupa had a traditional English civil ceremony and in the afternoon they were married again outside with a traditional Nepalese ceremony. 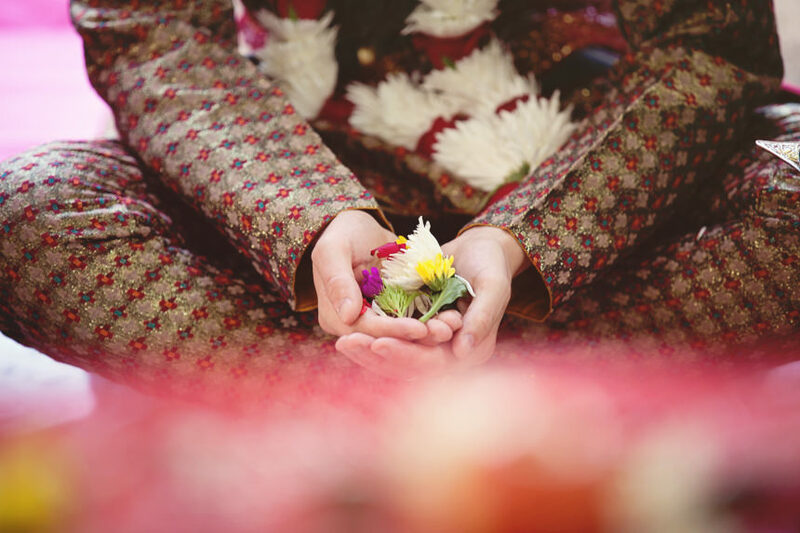 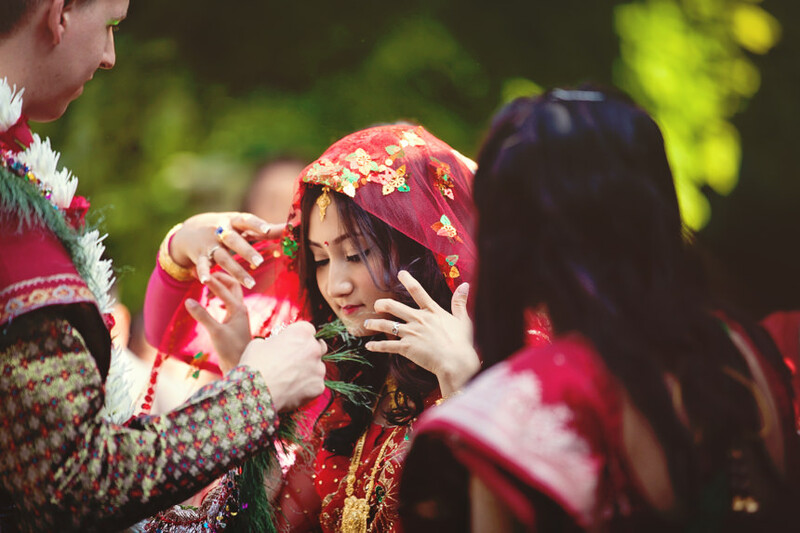 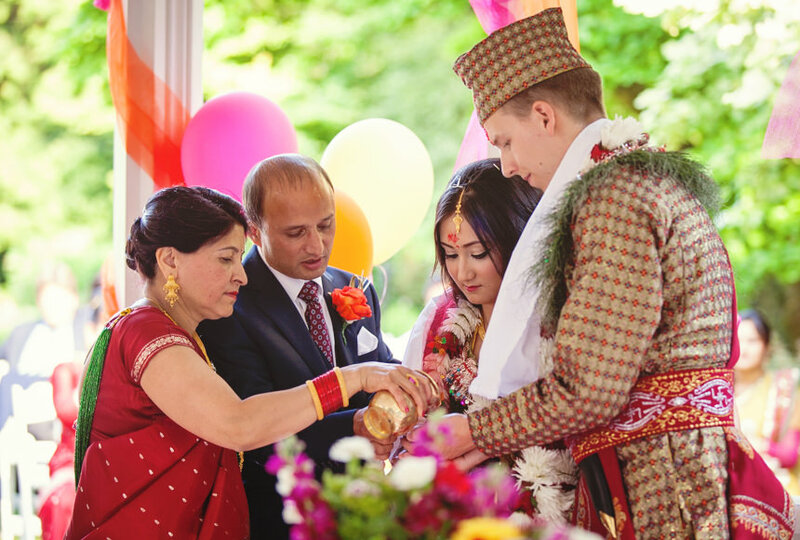 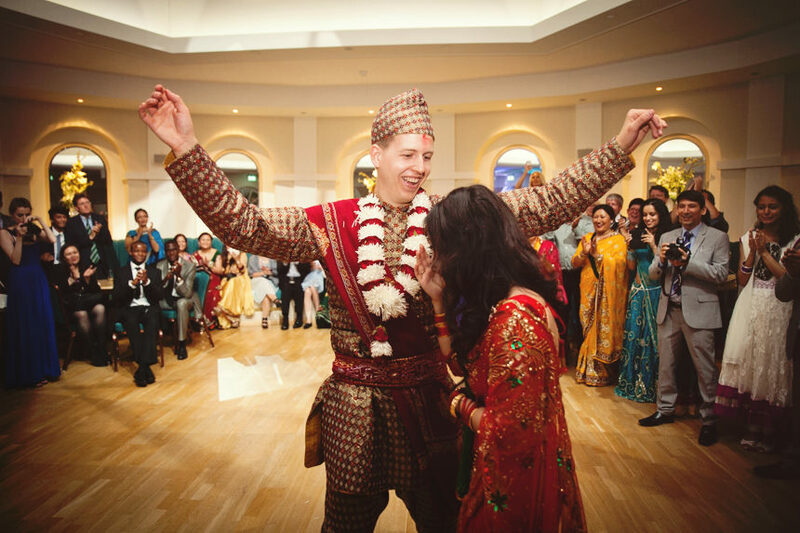 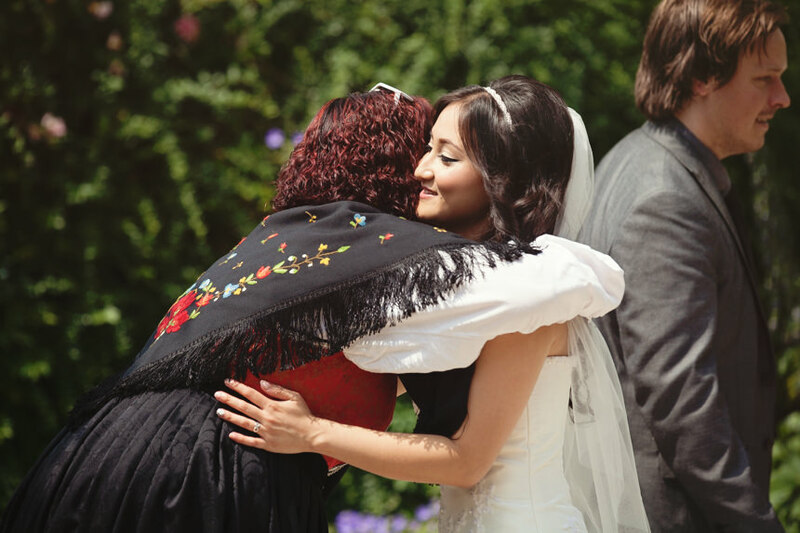 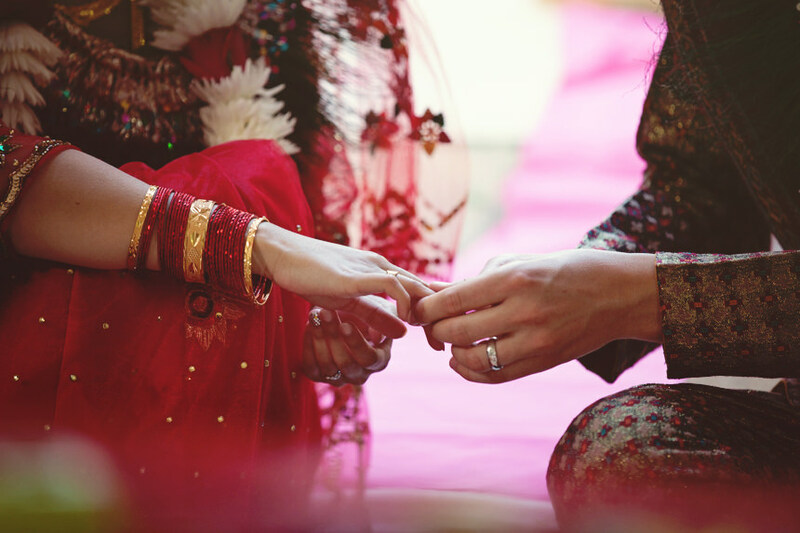 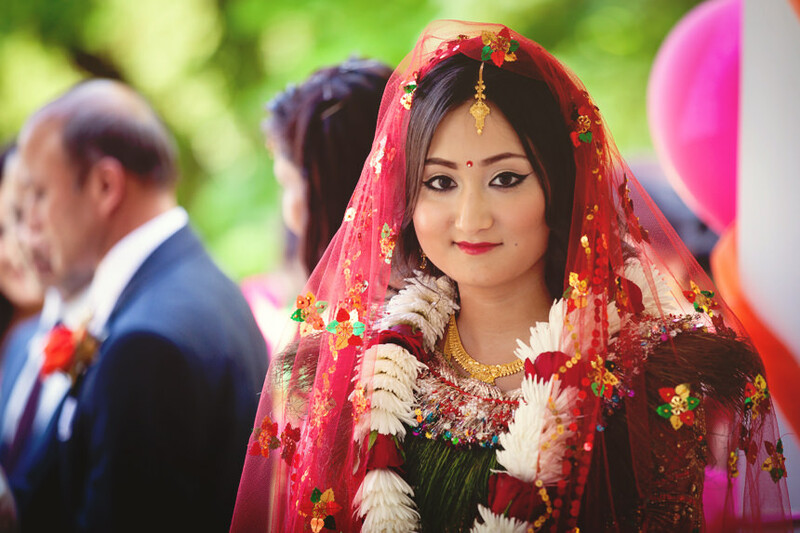 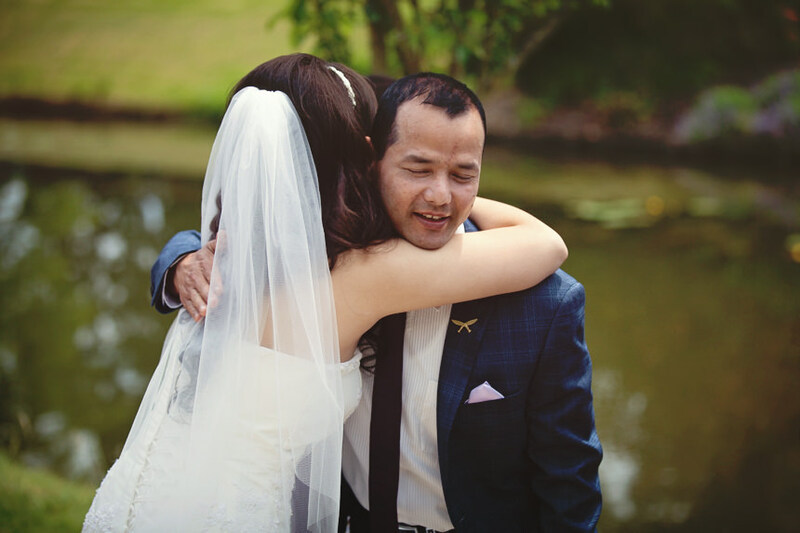 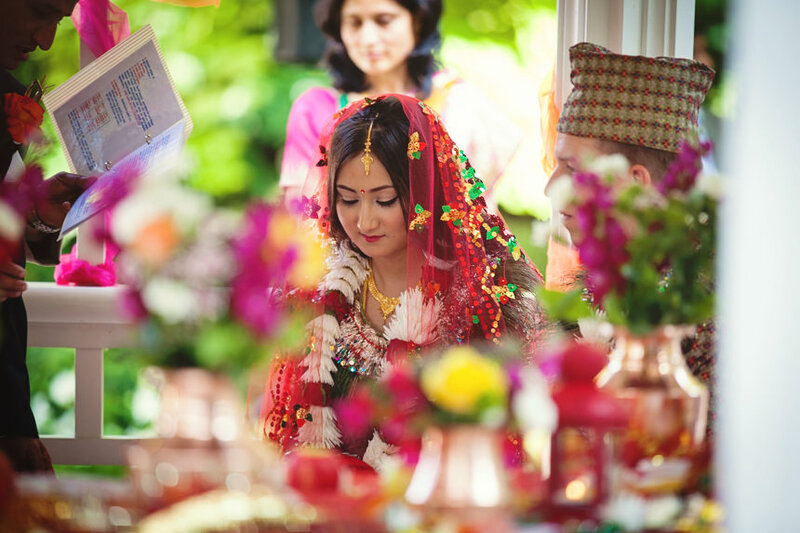 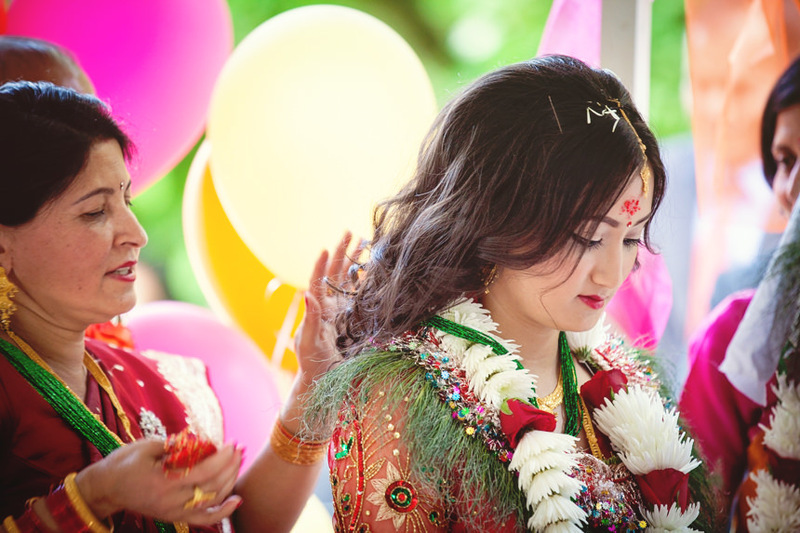 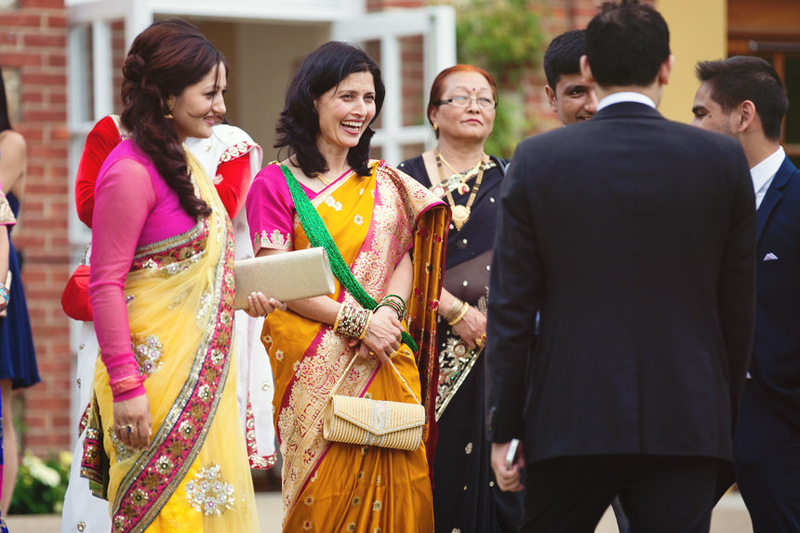 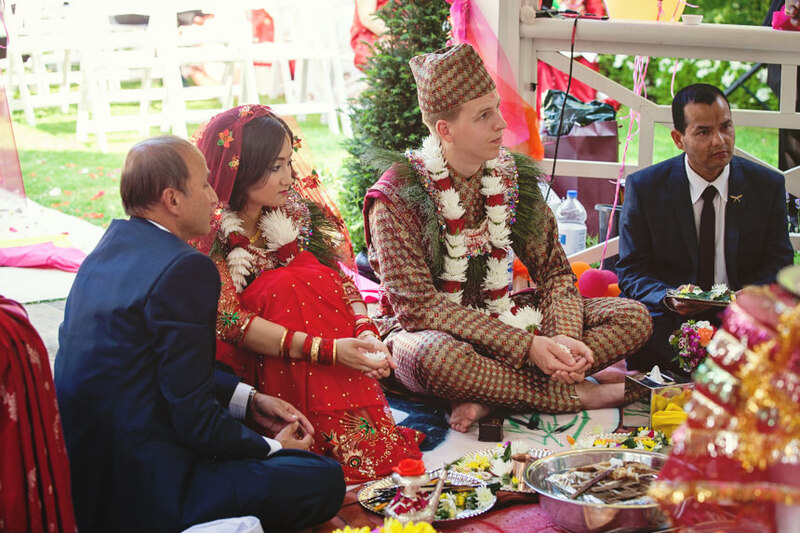 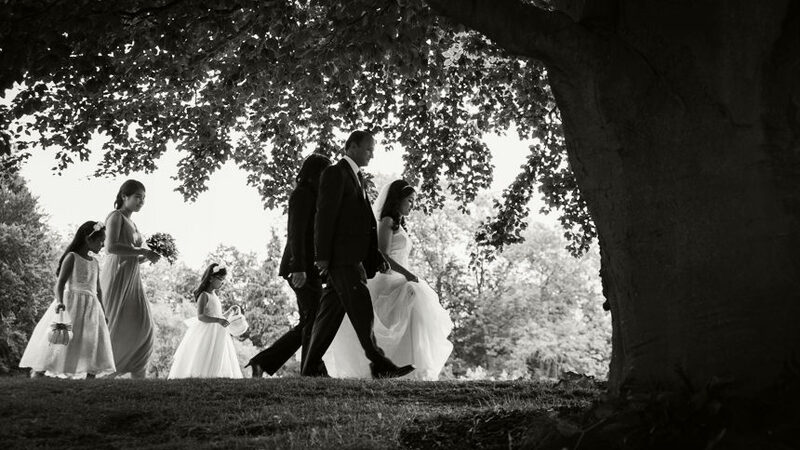 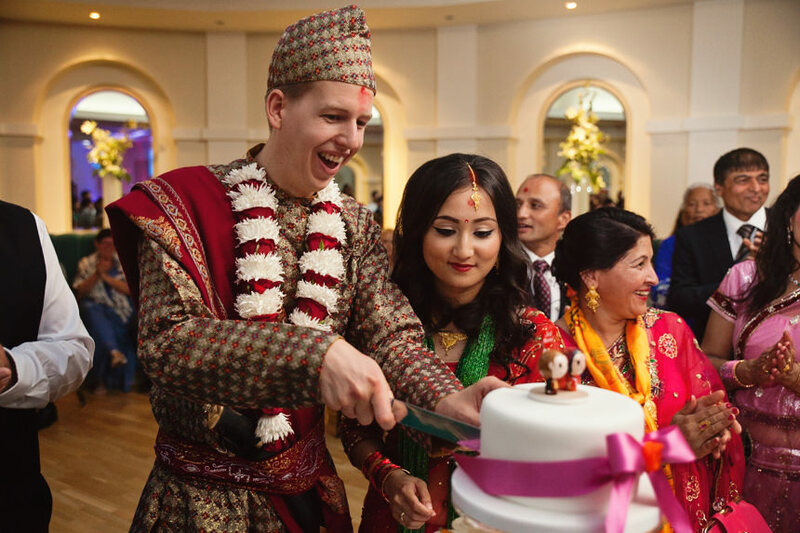 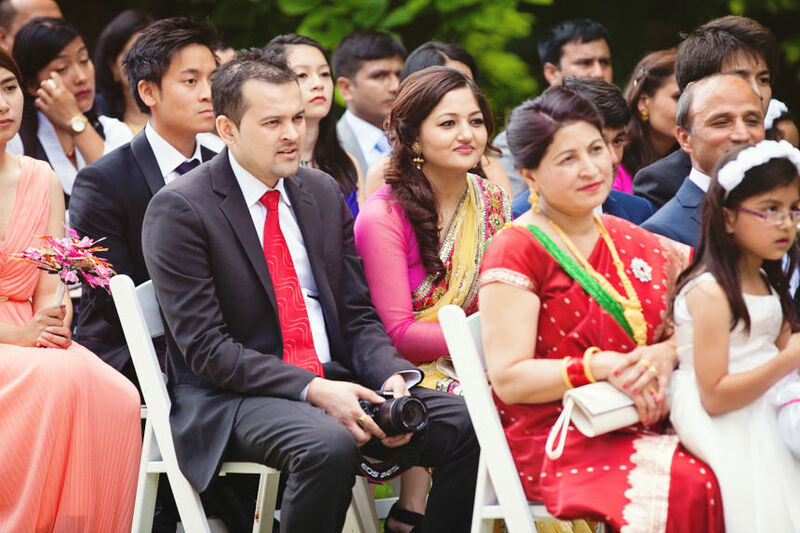 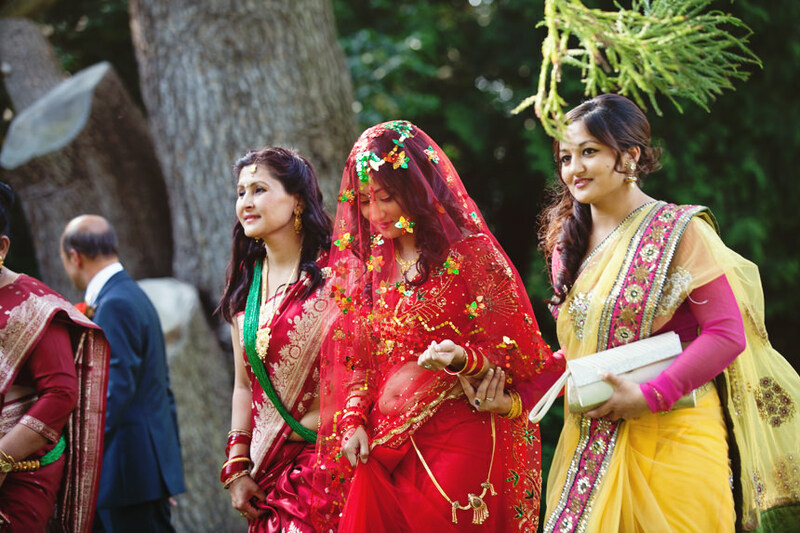 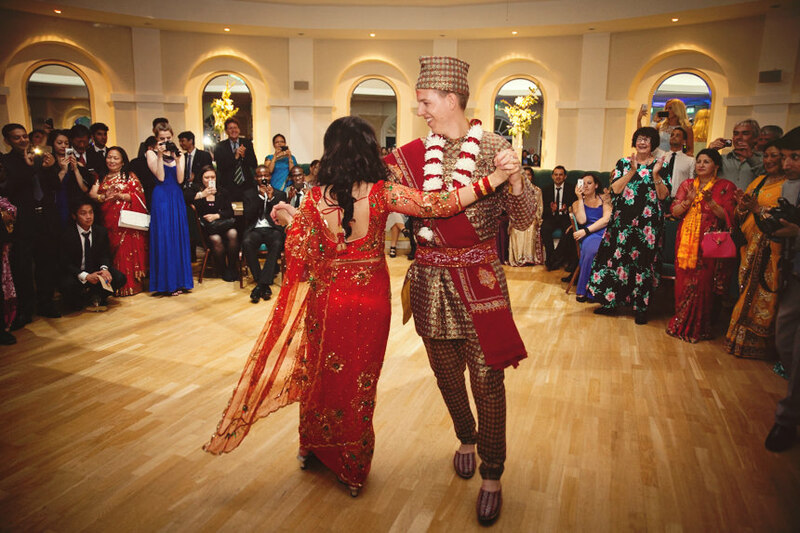 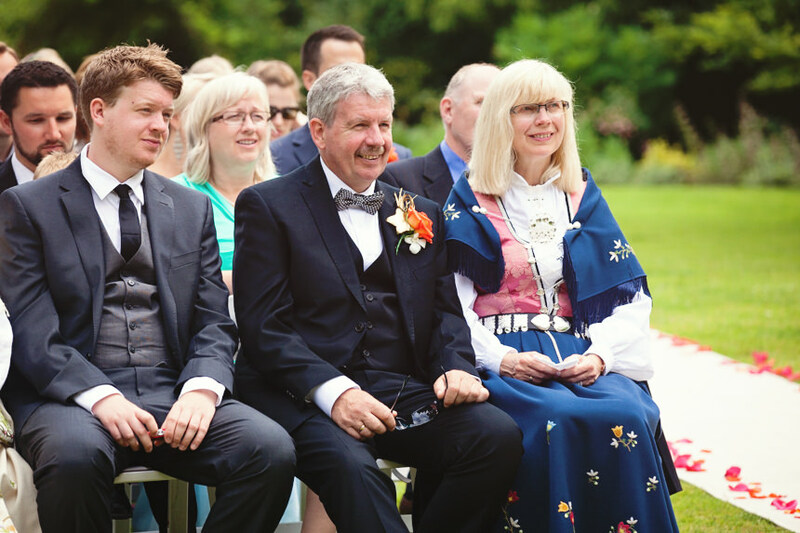 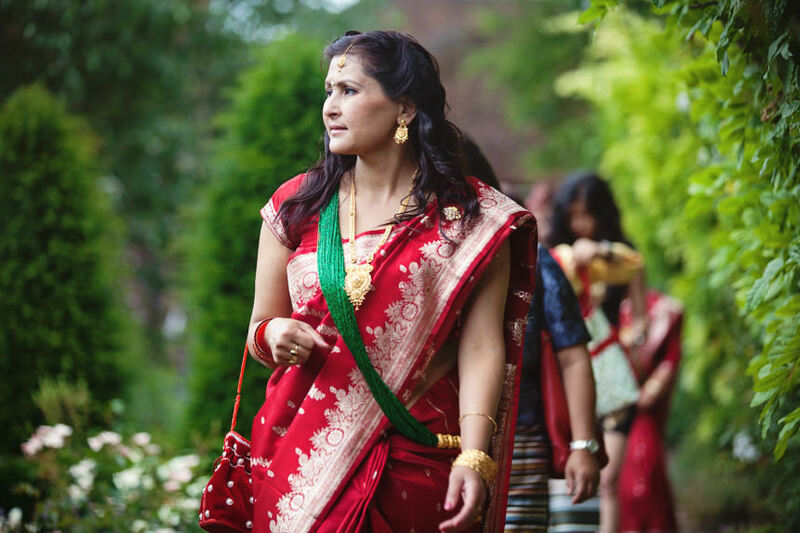 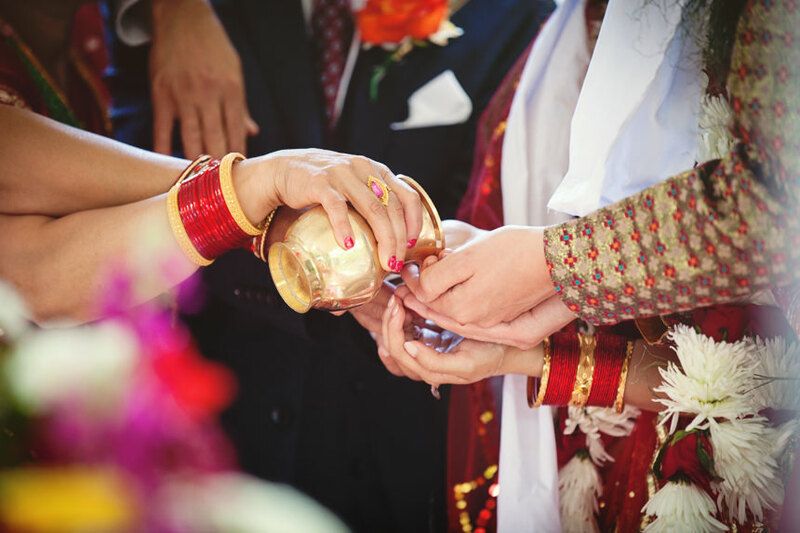 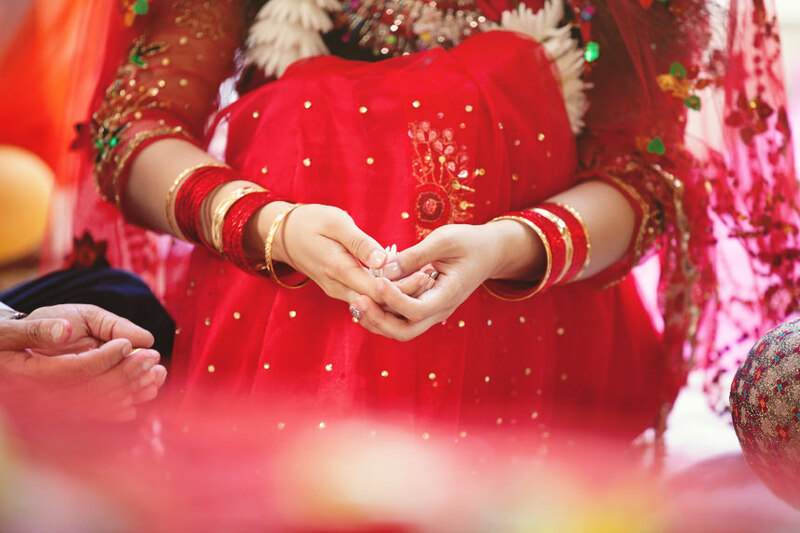 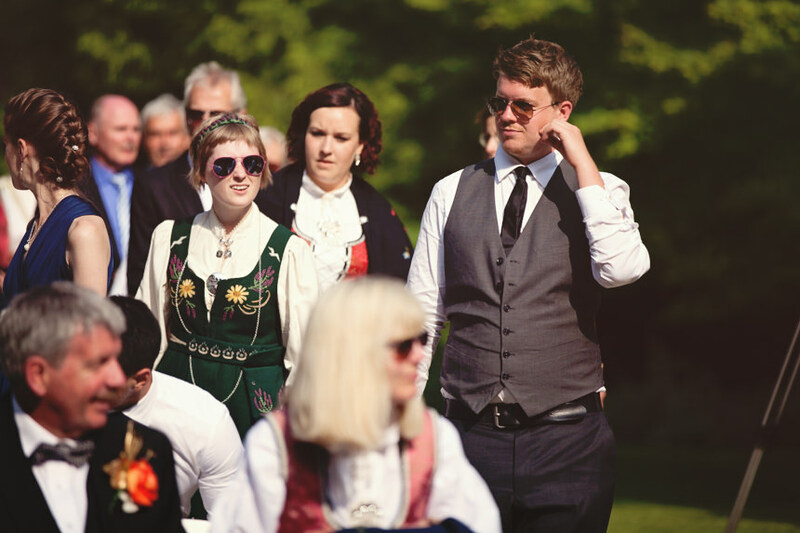 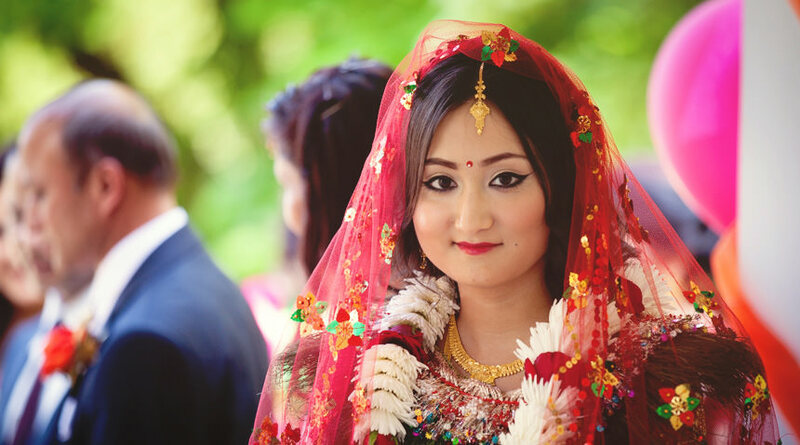 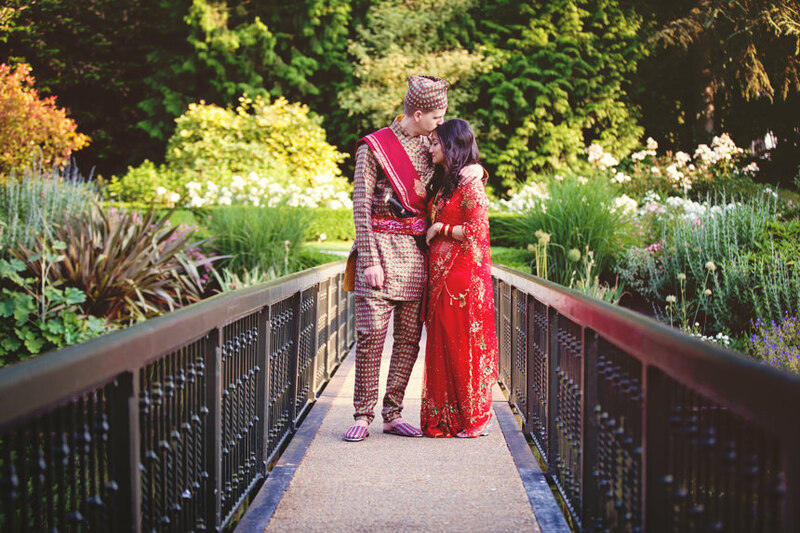 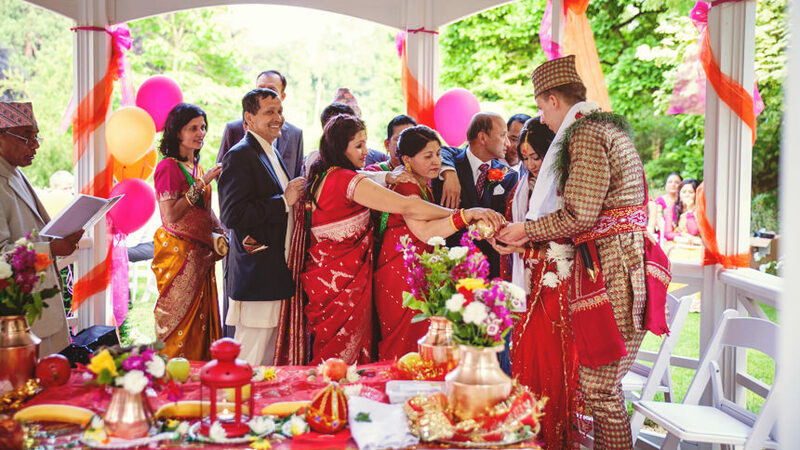 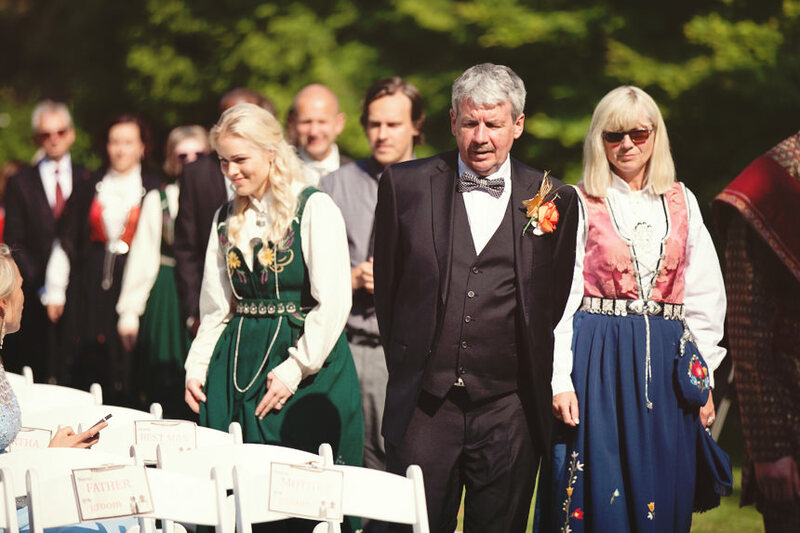 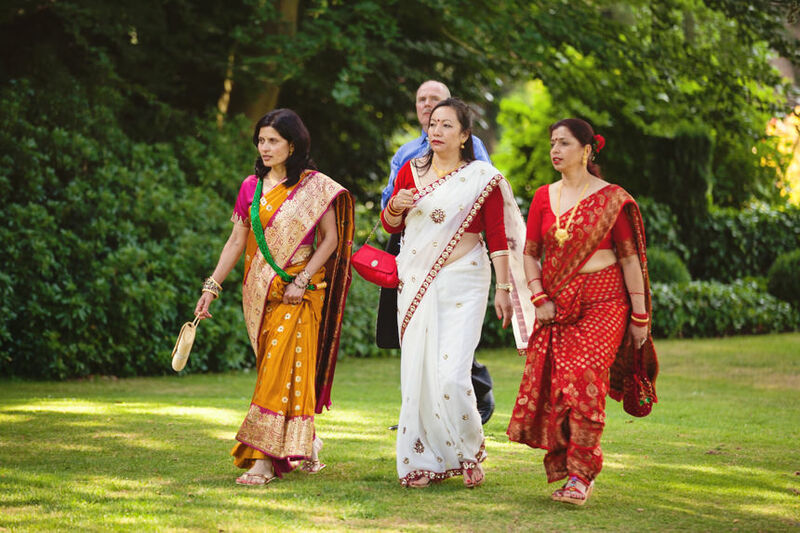 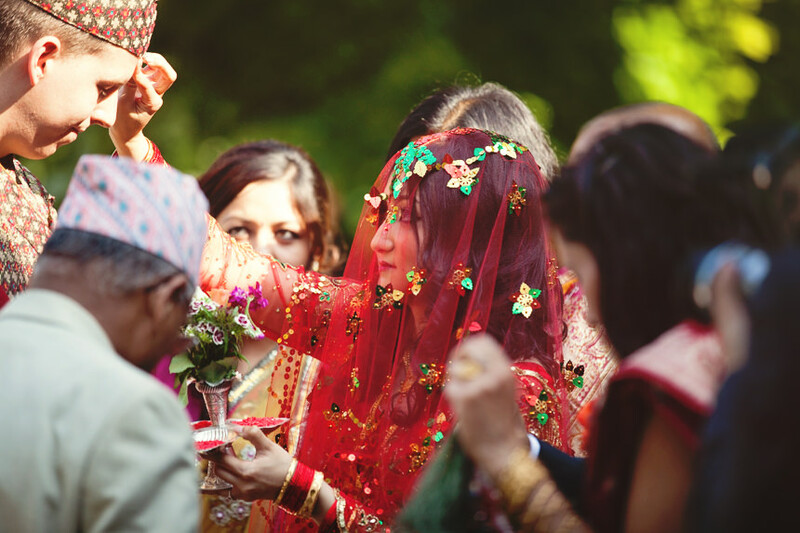 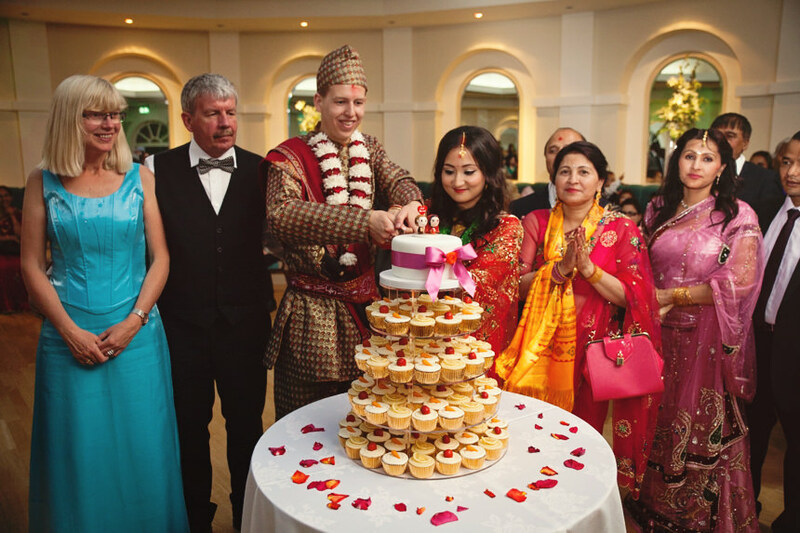 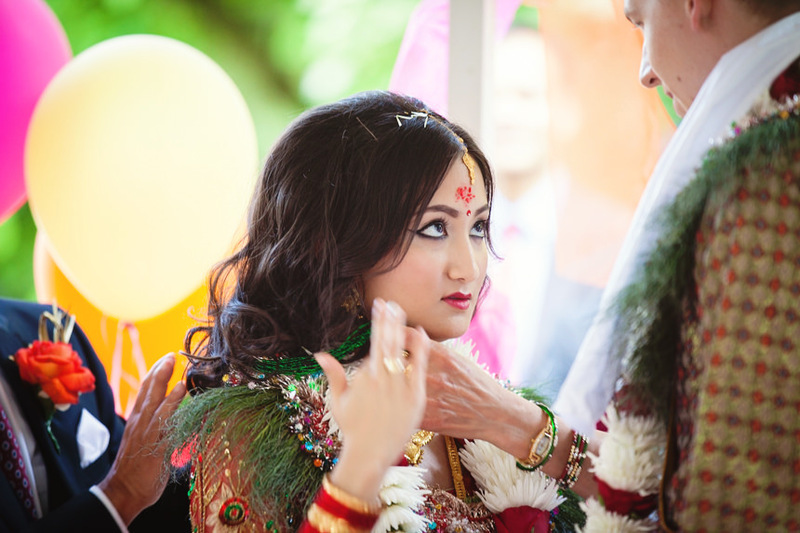 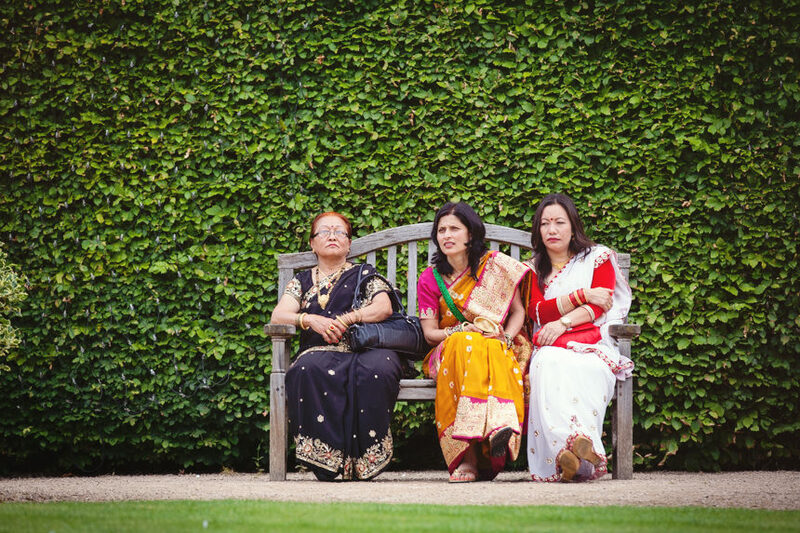 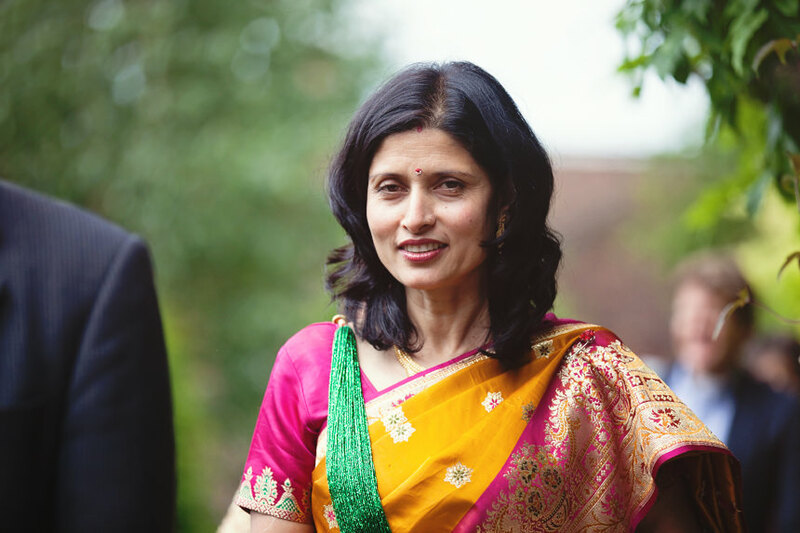 The coming together of two families when people married is very special in itself anyway, but when two very different cultures come together it is great to see each of the families embrace each others traditions. 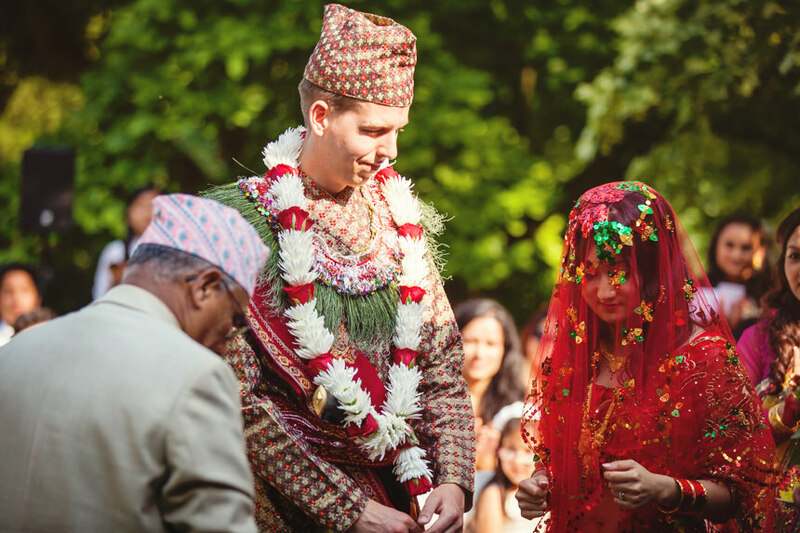 The clothes the two families wore where very different, but equally colourful and unique and Mats and Anupa changed their outfits between ceremonies to honour their respective traditions. 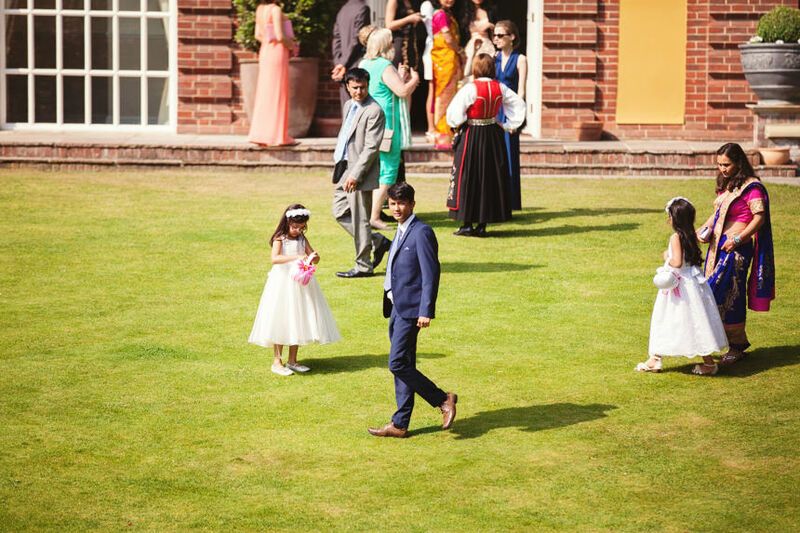 From my perspective as one of the photographers for the day it was extremely interesting to document what felt like two complete weddings in the same day (we were very tired by the end!). 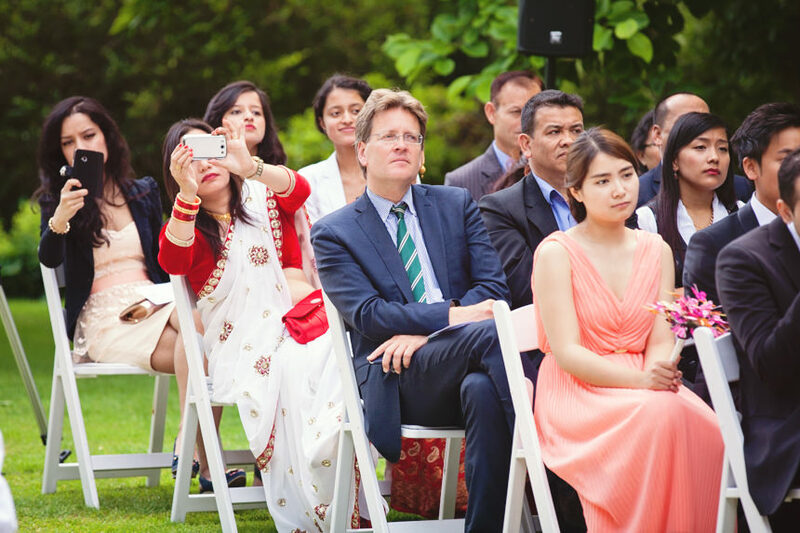 The morning ceremony was of course very familiar to us with the traditional registrar and guests remaining seated for the ceremony. 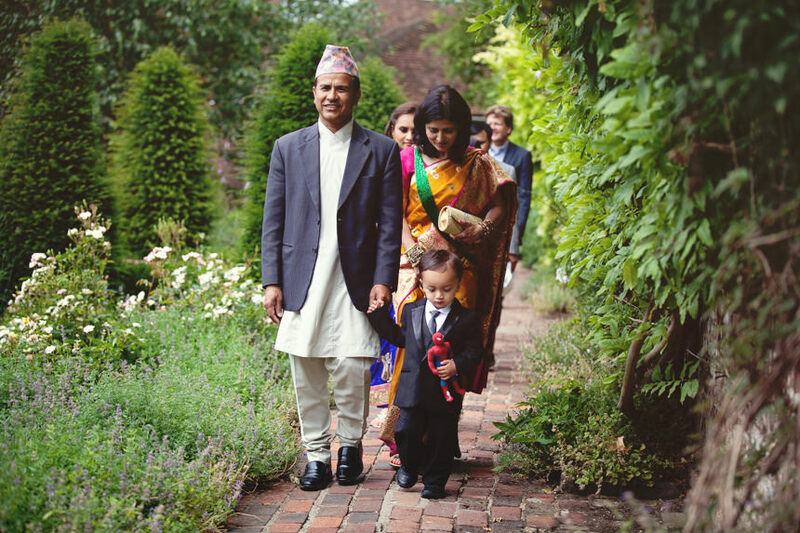 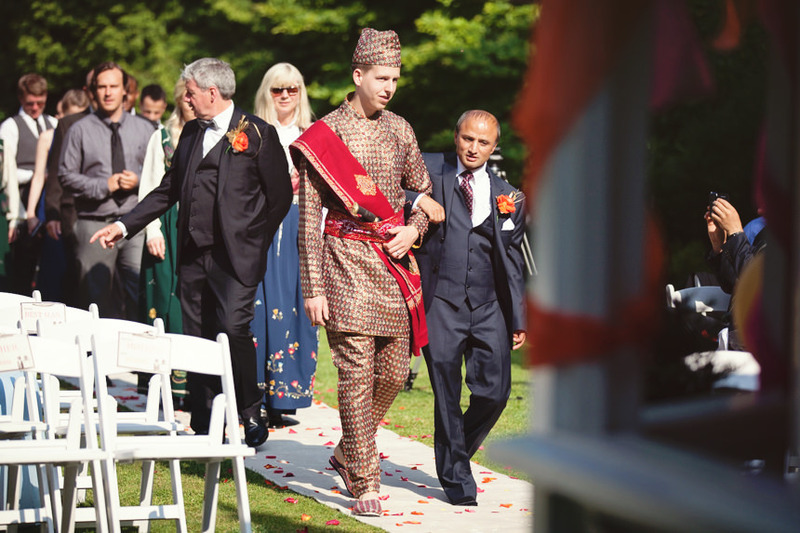 The afternoon Nepalese ceremony started much the same, except Anupa’s father actually walked Mats down the aisle instead of Anupa! 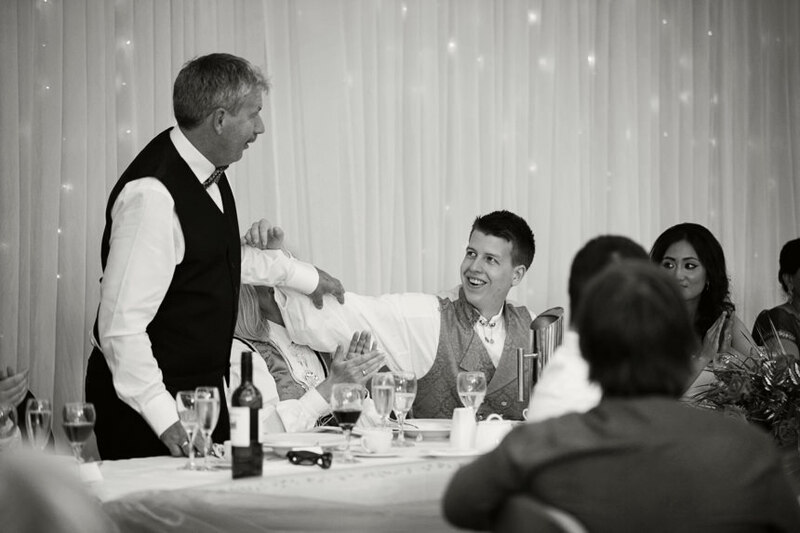 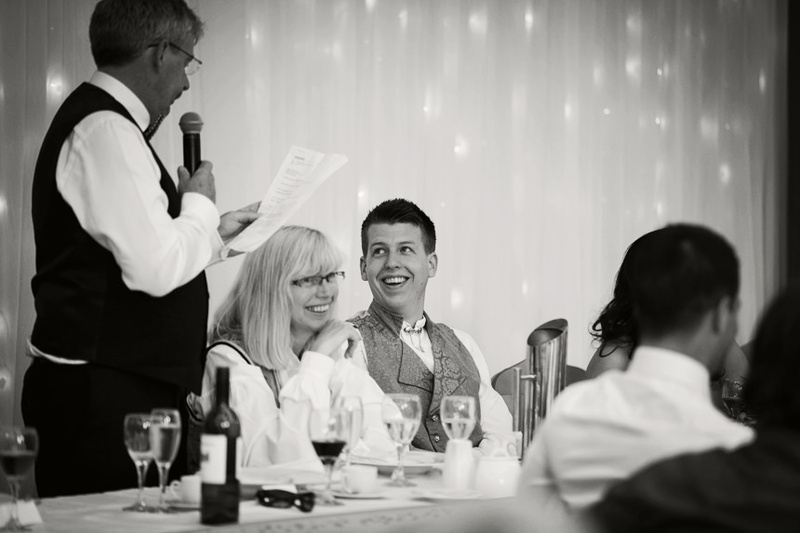 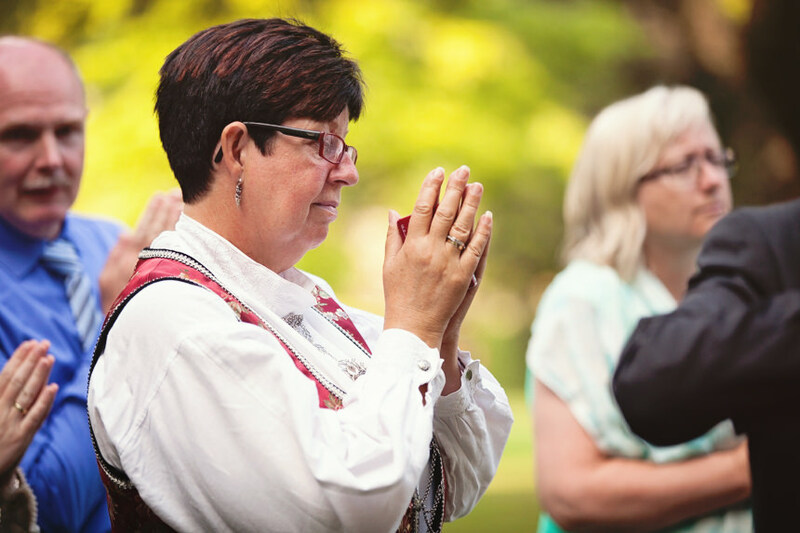 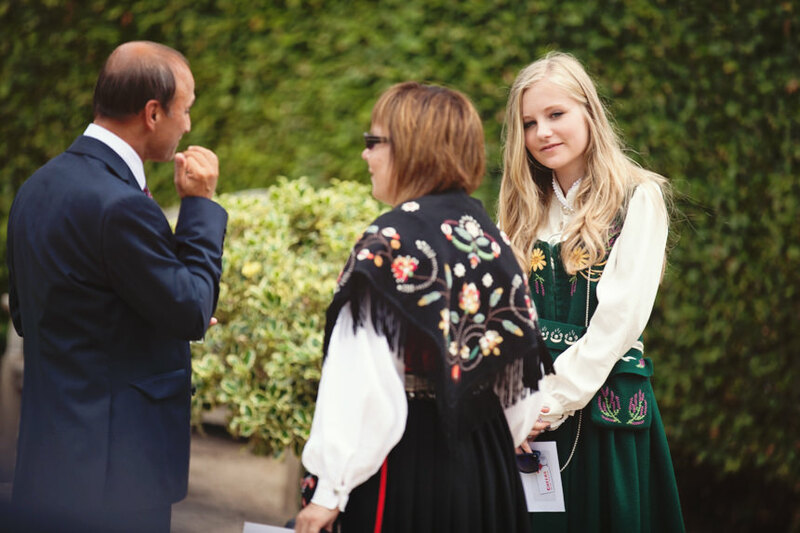 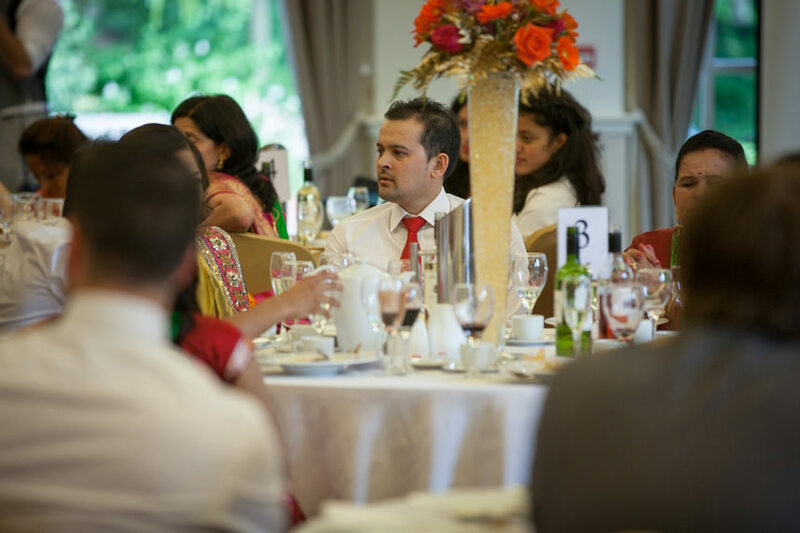 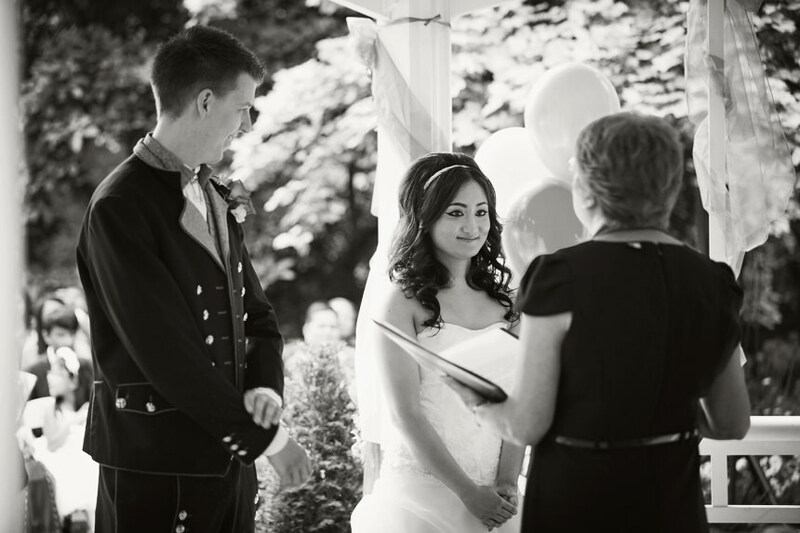 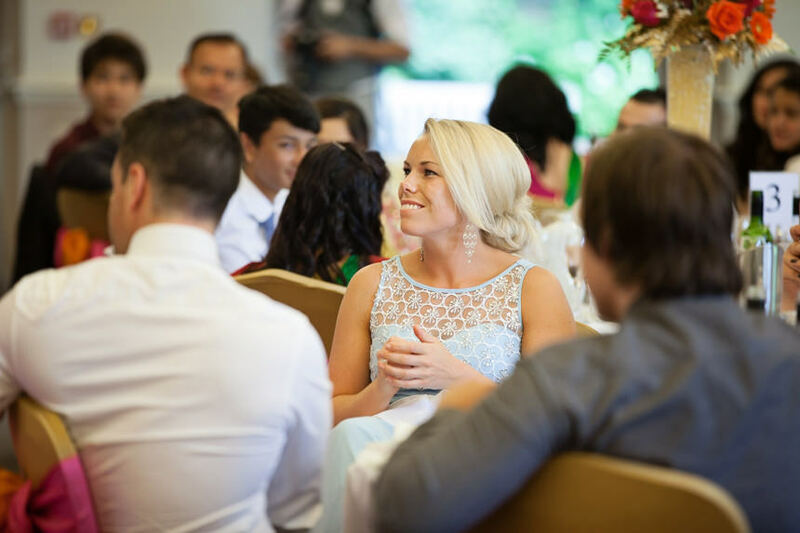 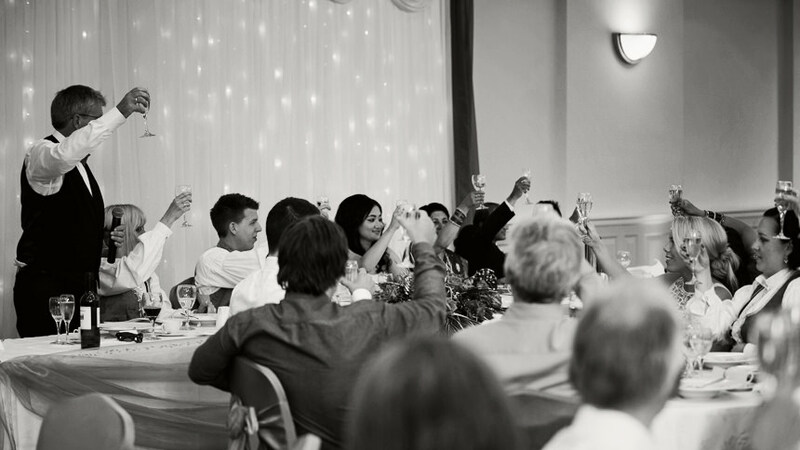 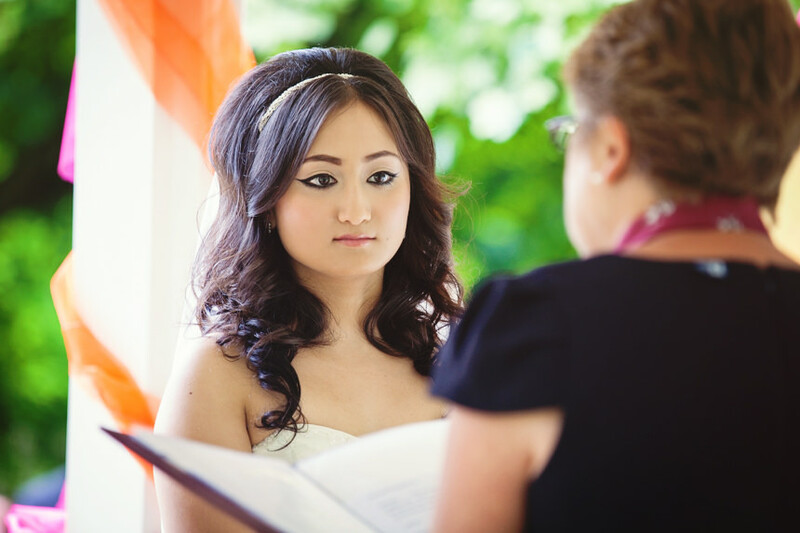 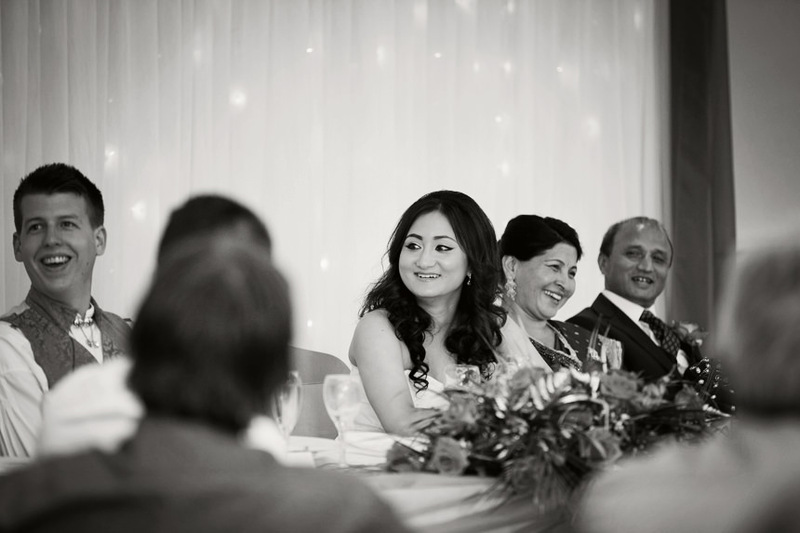 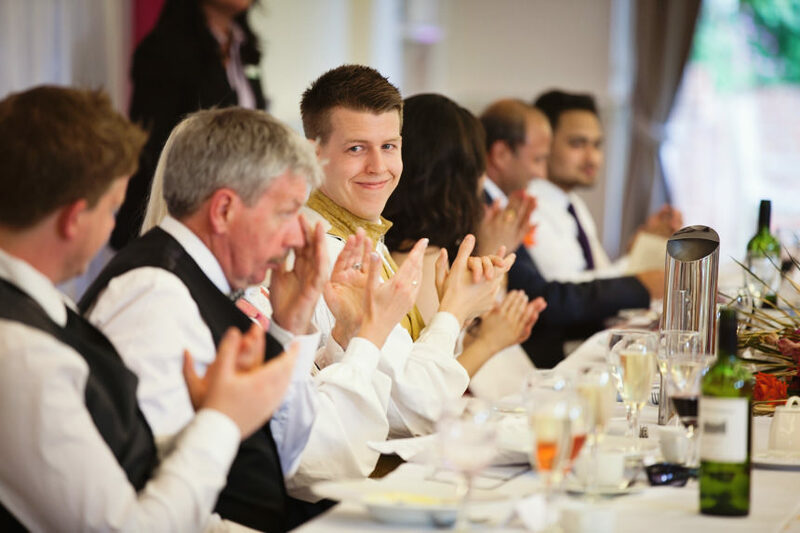 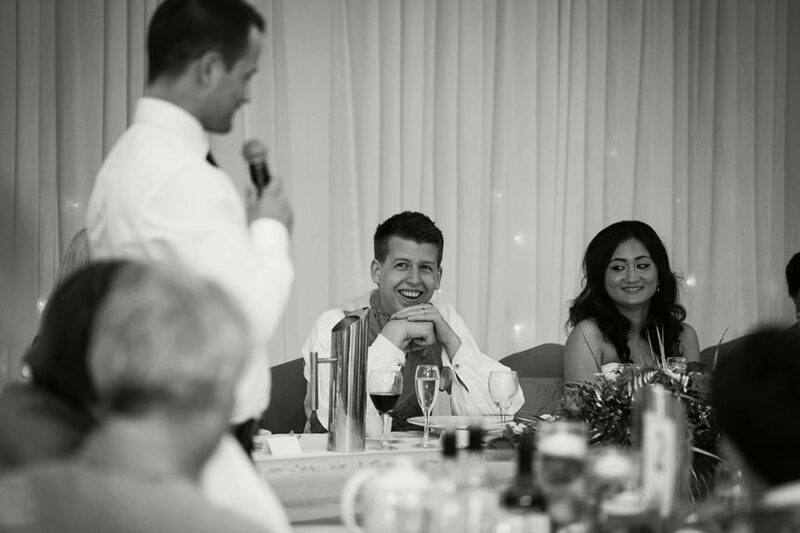 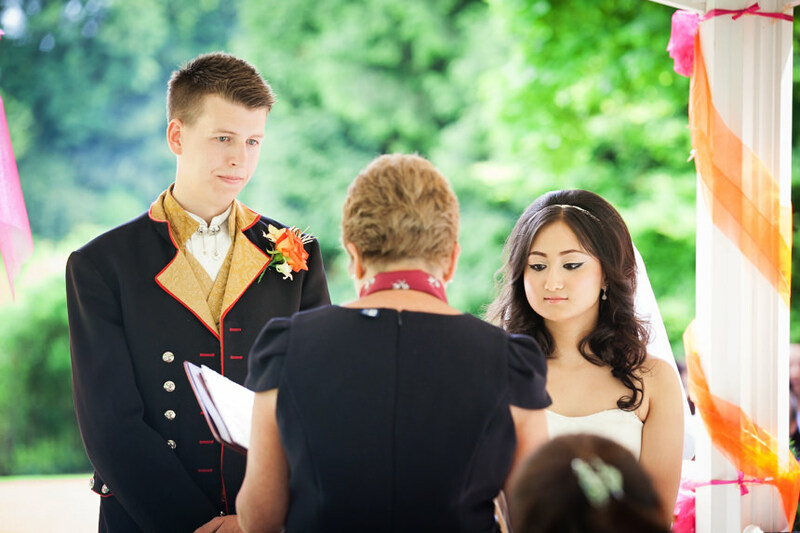 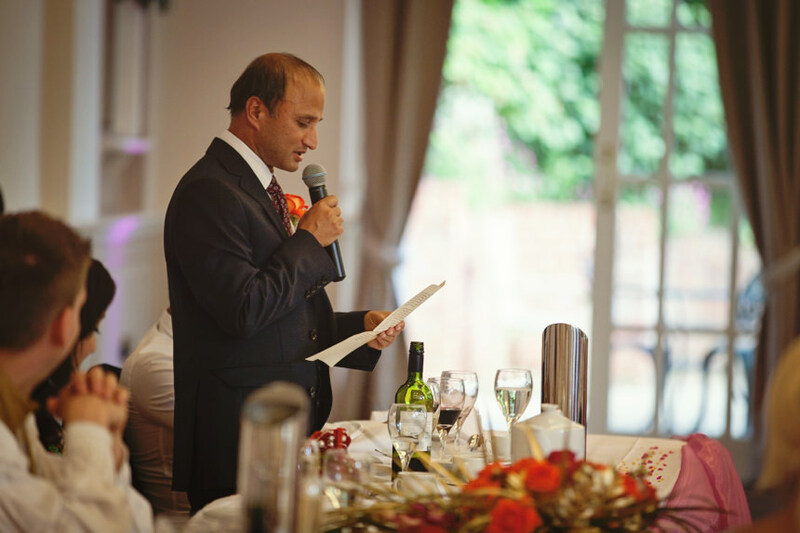 Once the couple had some words spoken for them whilst the guests were seated, it was all hands on deck and slowly more and more of their families became involved in the ceremony. 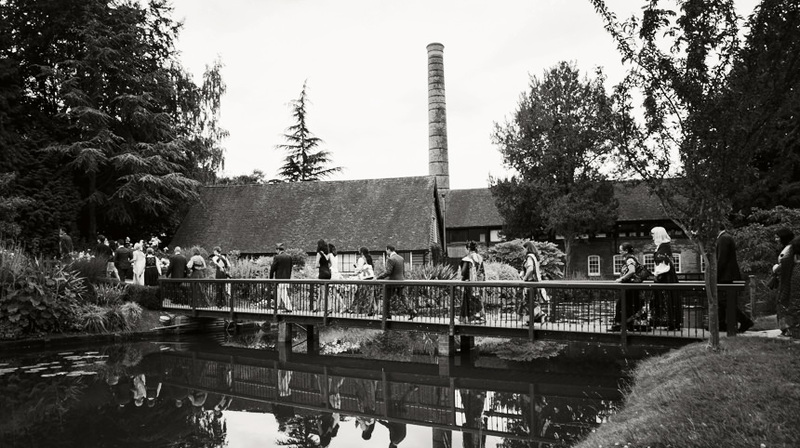 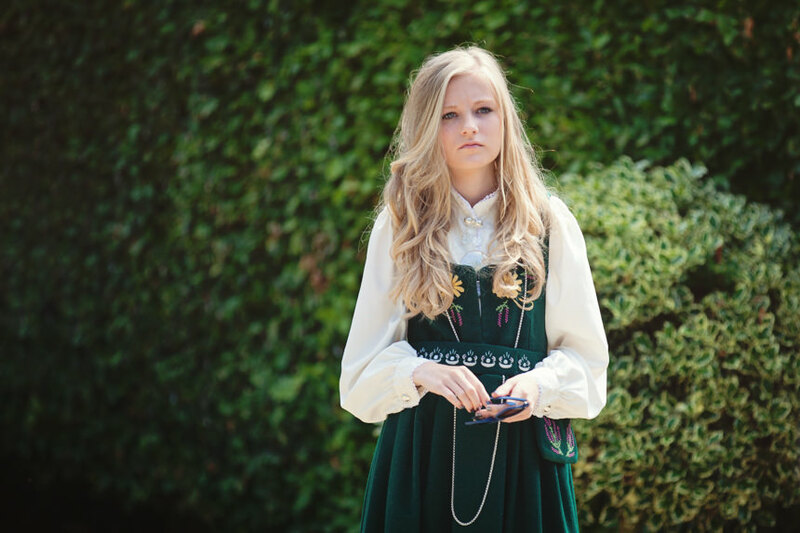 It was all very exciting and different and made for some great photos.